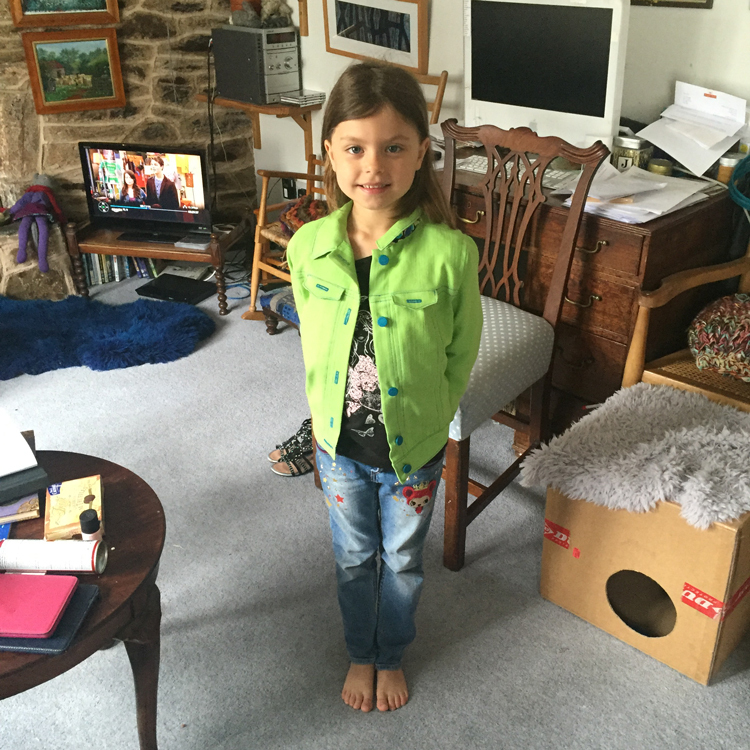 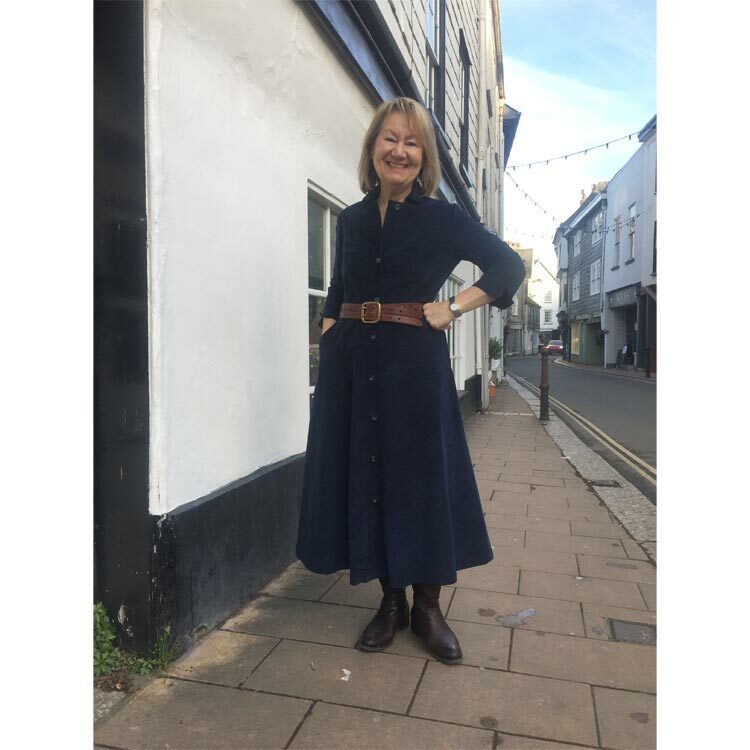 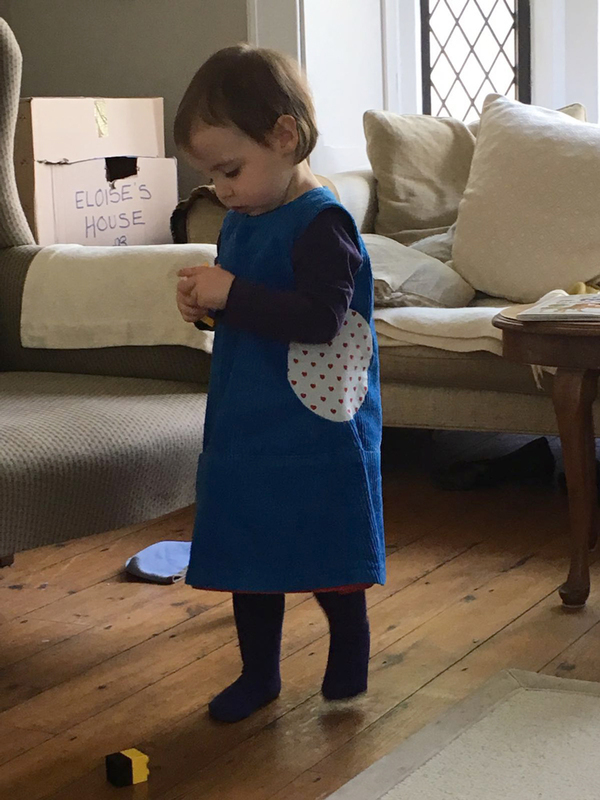 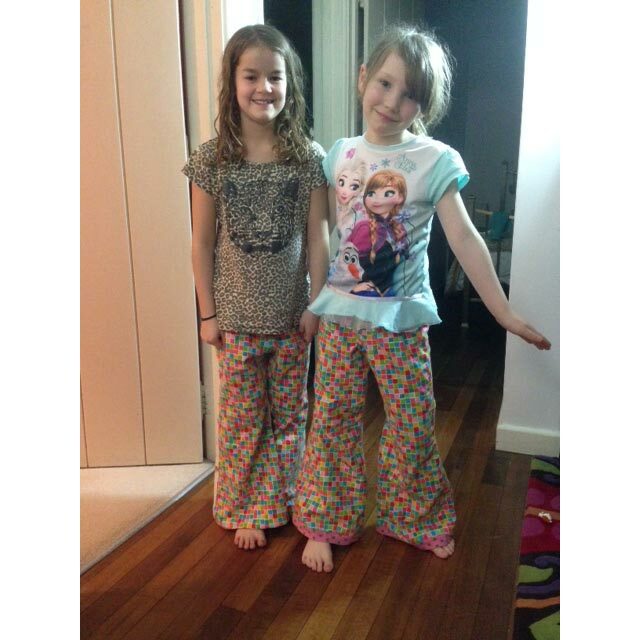 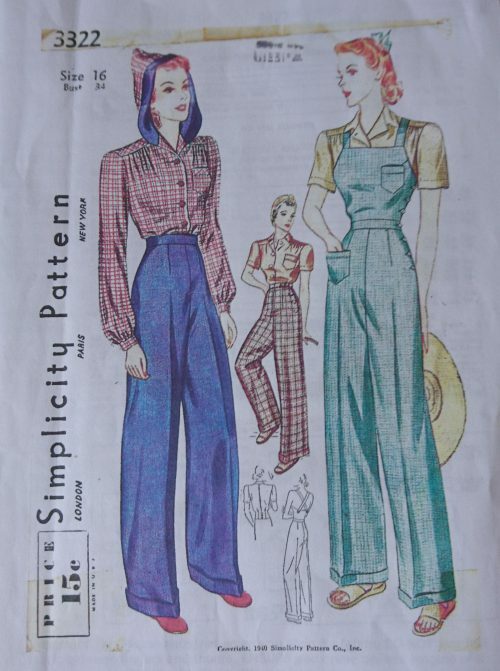 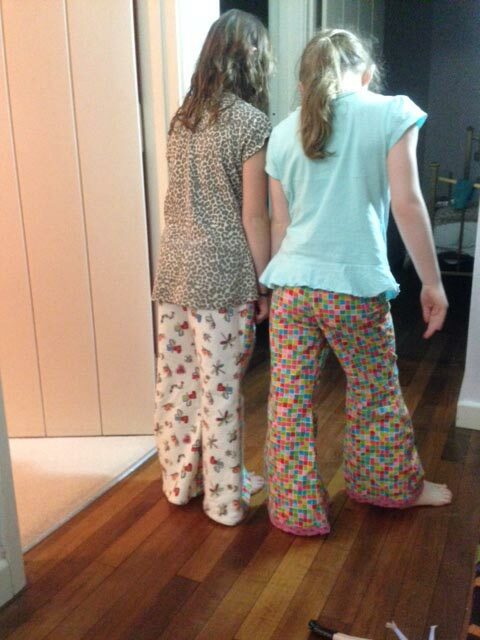 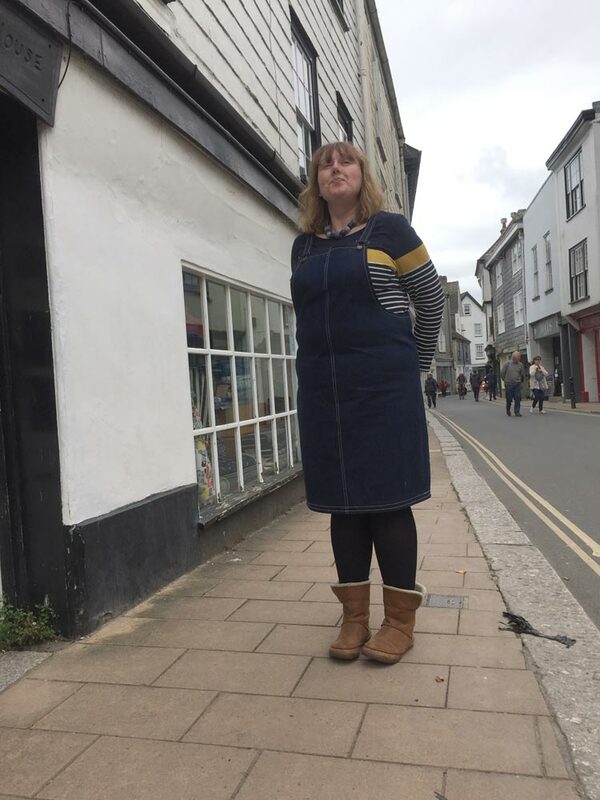 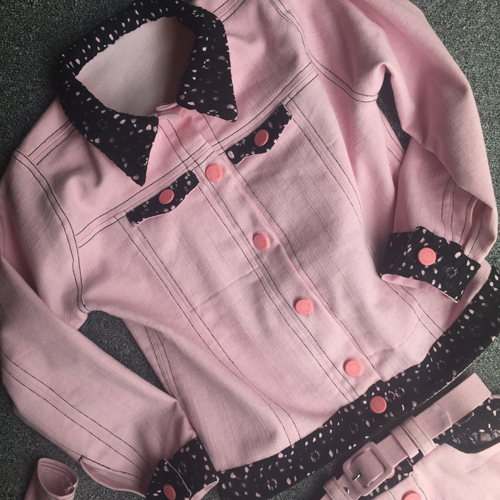 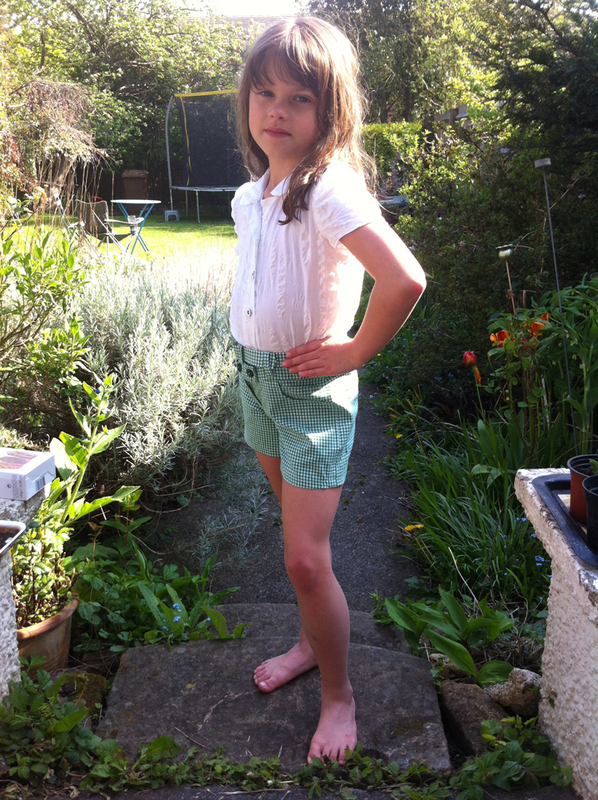 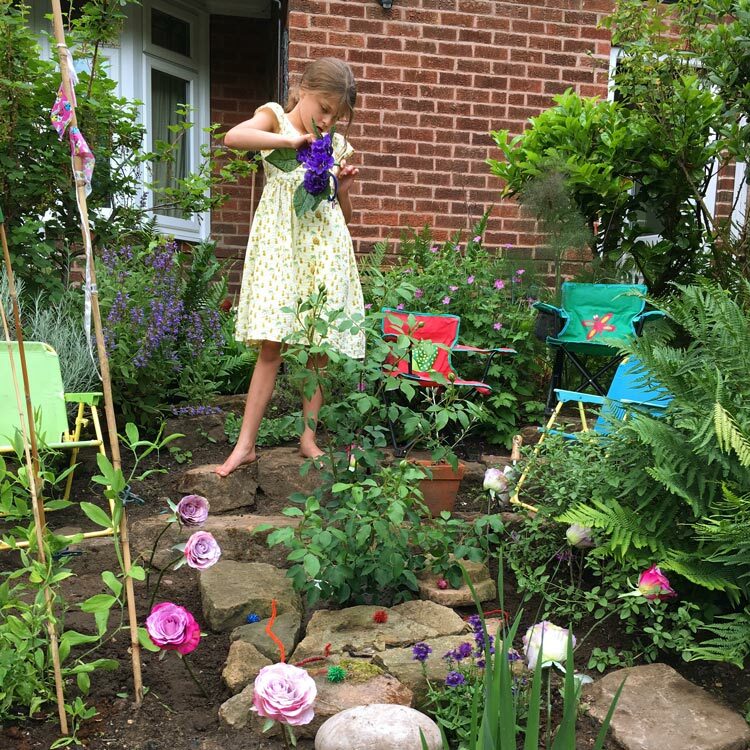 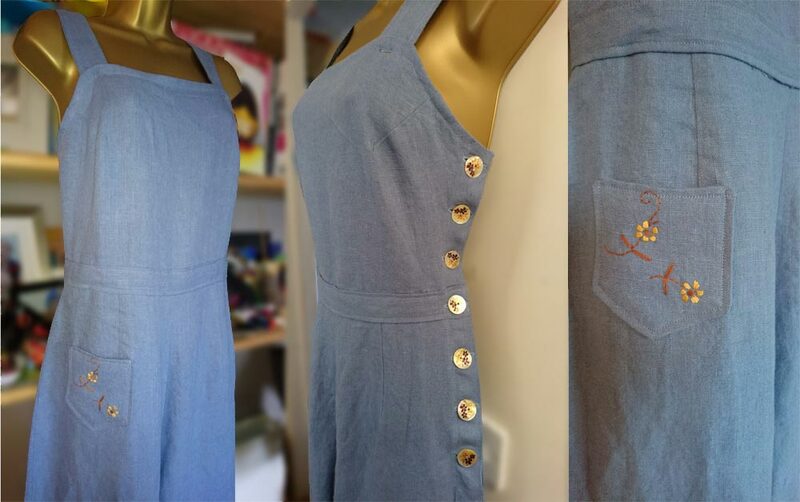 Pauline made this fabulous denim jumpsuit using a 1970’s jumpsuit pattern from Simplicity (3322), she used a soft medium weight linen mix denim with floral painted buttons and hand embroidered pocket details. 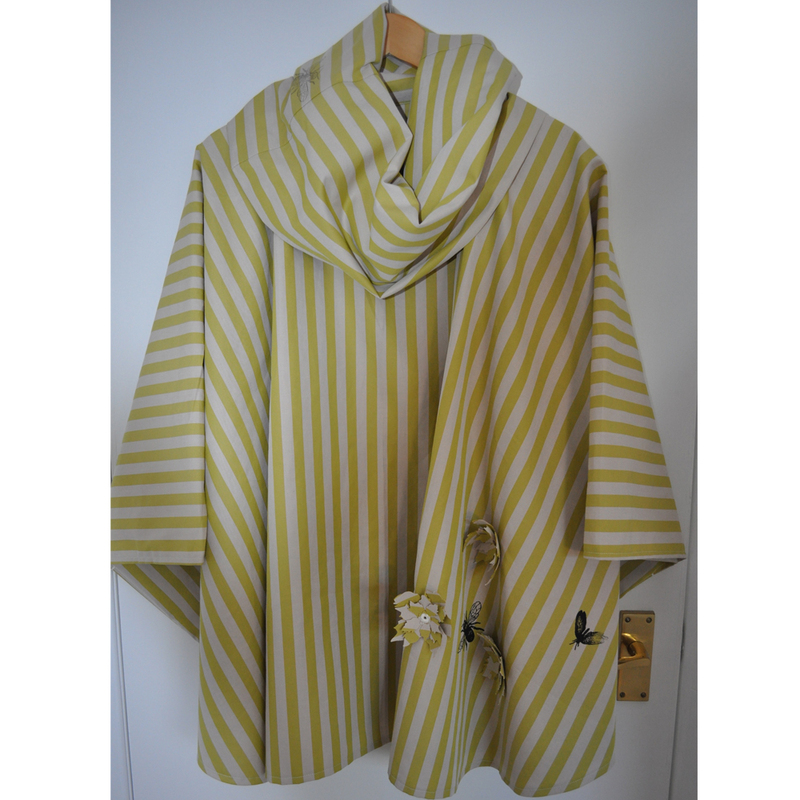 Lesley made this fabulous chartreuse and camel stripey proofed cotton cape. 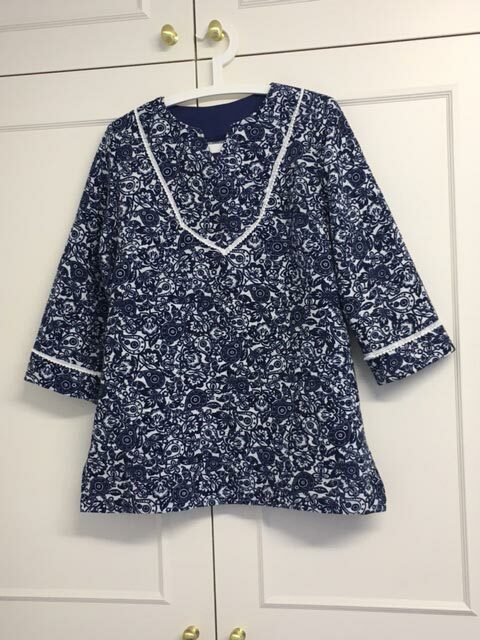 This was a cape pattern picked up at a Quilt Show in France which she embellished with flowers cut with a Sizzix machine attached using the Bernini Eyelet accessory and printed with Thermofax screens. 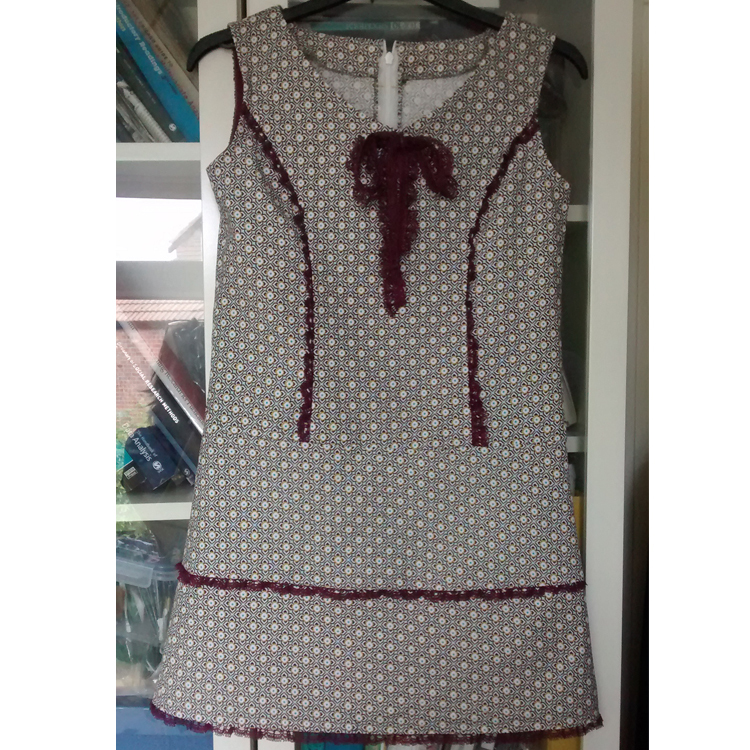 It was fun to make! 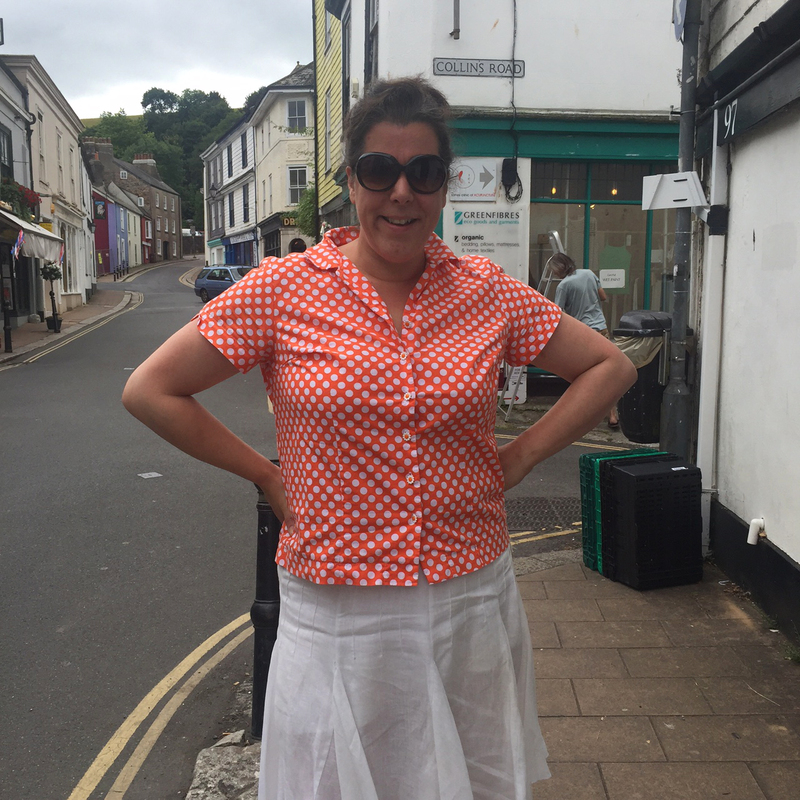 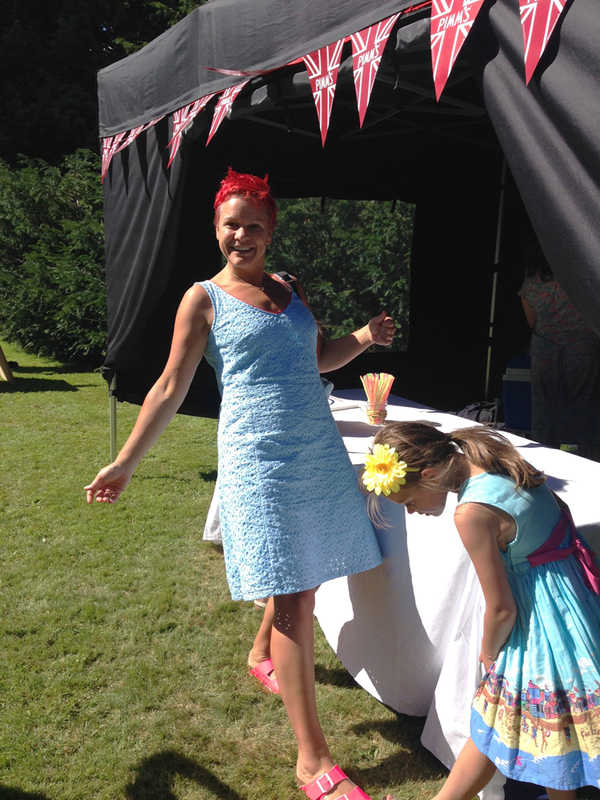 Bess wearing her super summery light blue broderie anglaise cotton dress at the Pimm’s stall at the village fête. 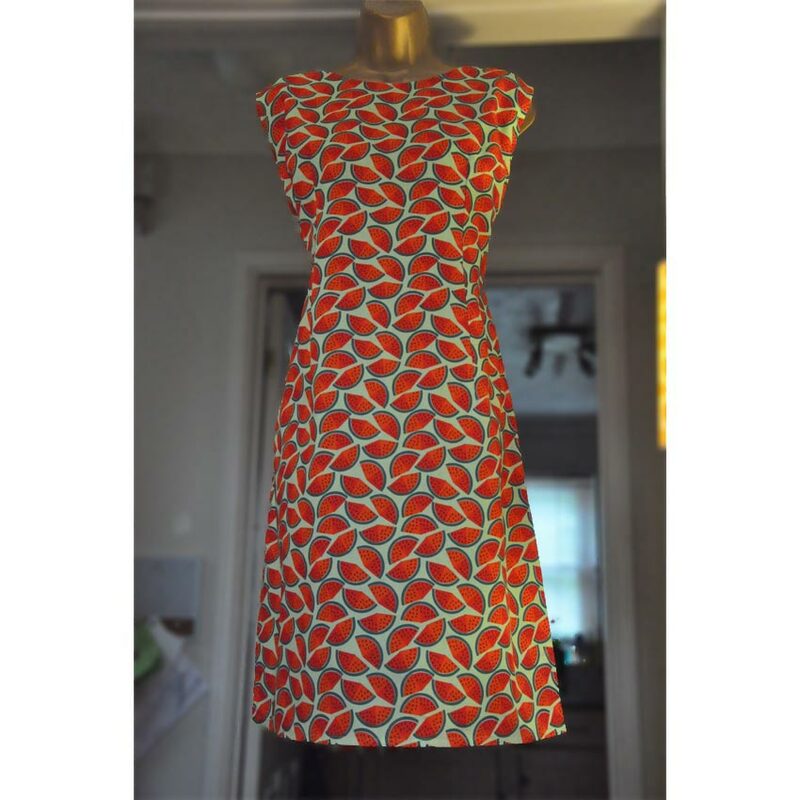 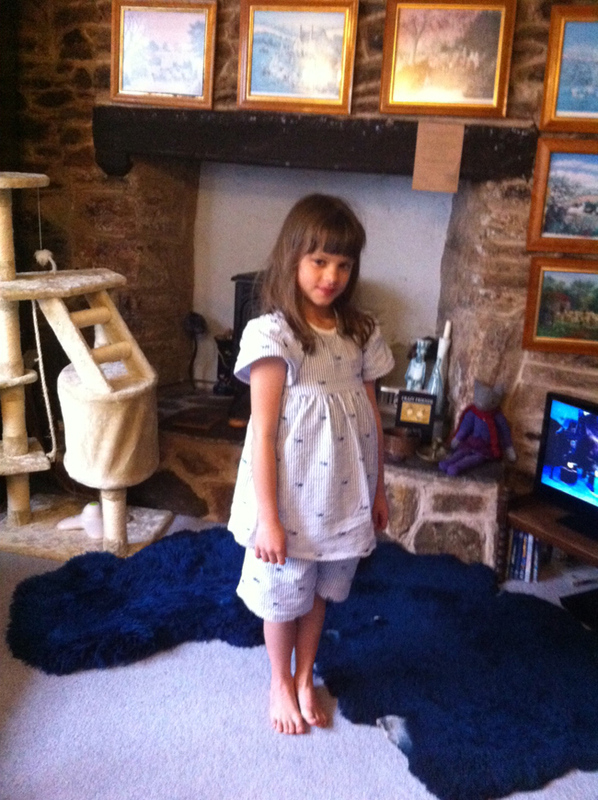 The dress is her same Jaeger dress pattern with the neck cut lower and lined in ivory cotton lawn. 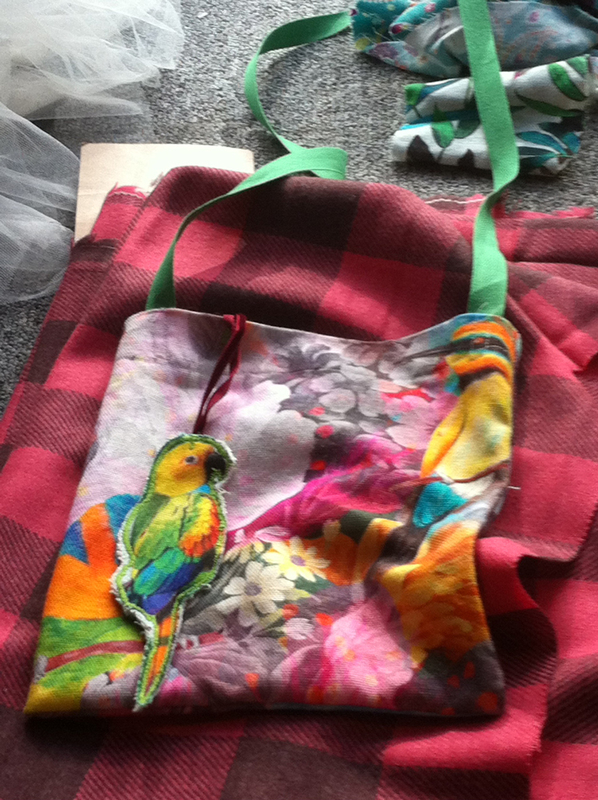 The neck is piped with red satin piping (made with a super lightweight bias binding and piping cord) and bias binding around the armholes. 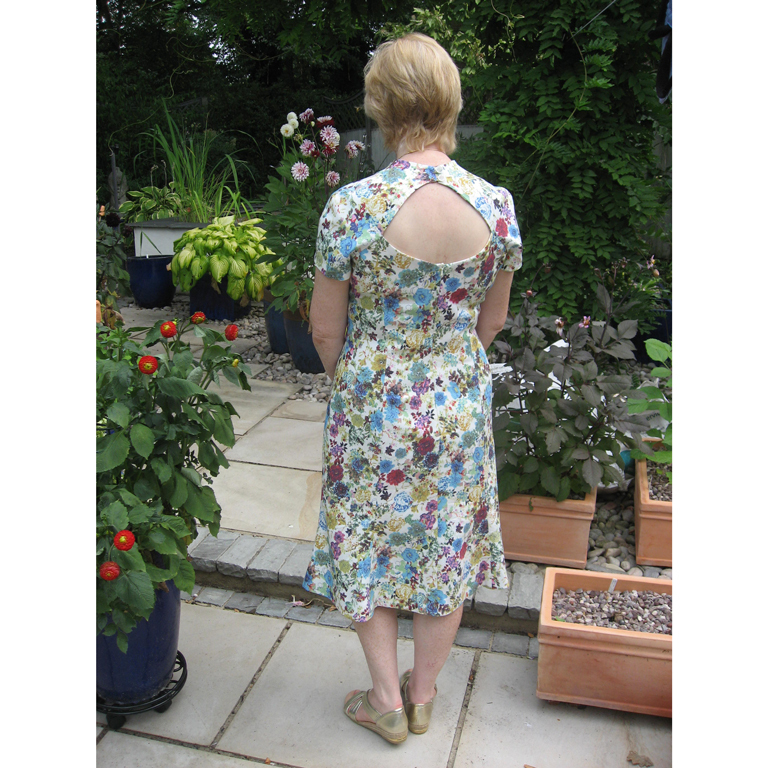 Just to be extra fancy Bess used french seams on the lining (this has practical reasons as well as showing off -it is stronger and everything looks neater), and a heavy repp bias binding around the hem to give it a little structure. 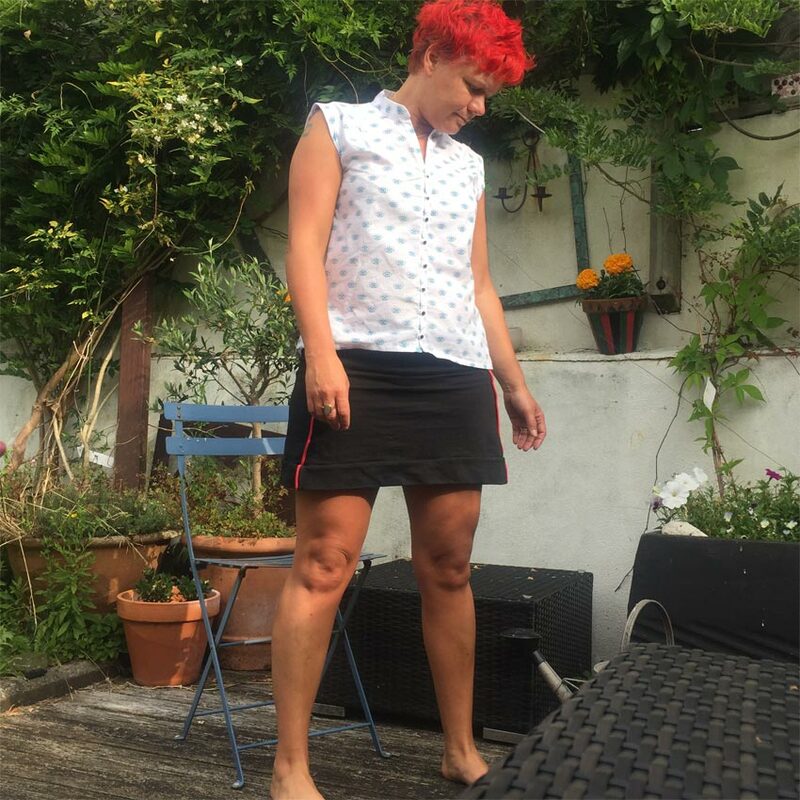 Despite the snug fit and no lycra Bess can still wiggle in without a zip. 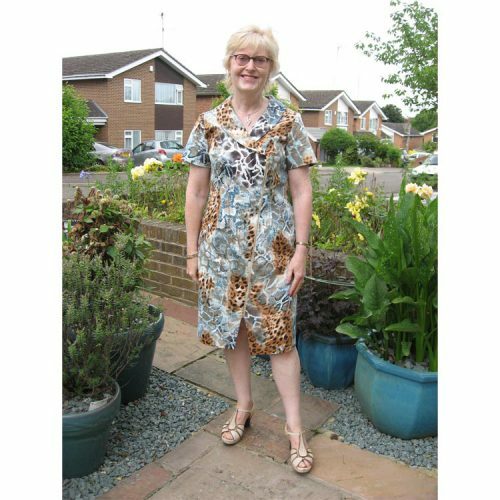 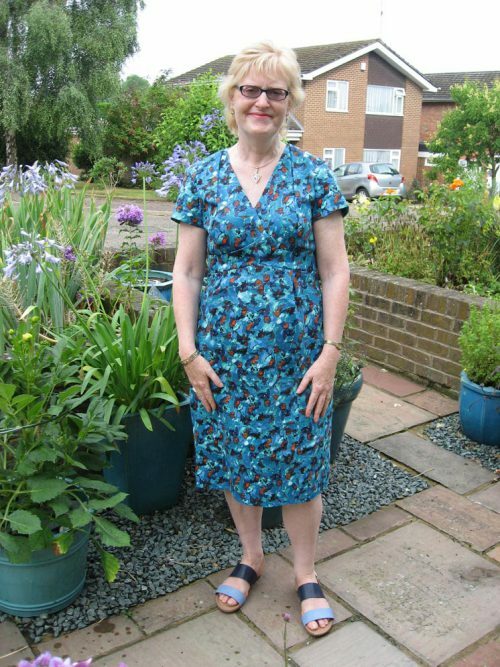 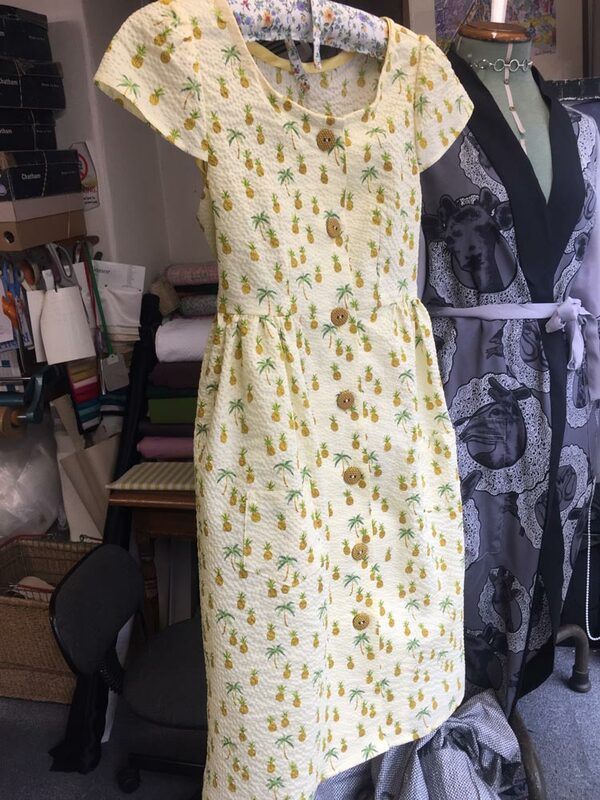 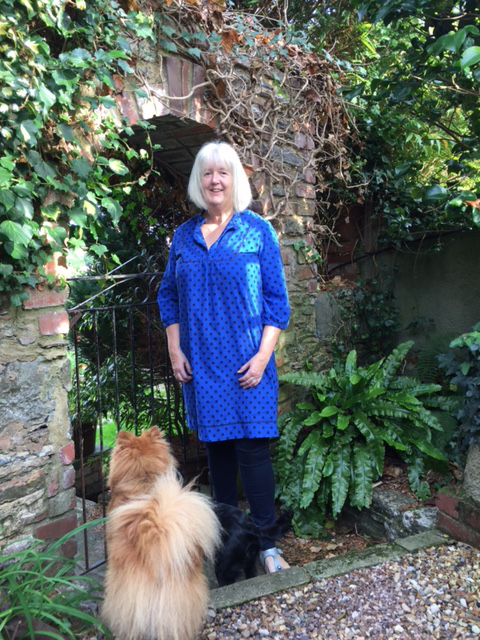 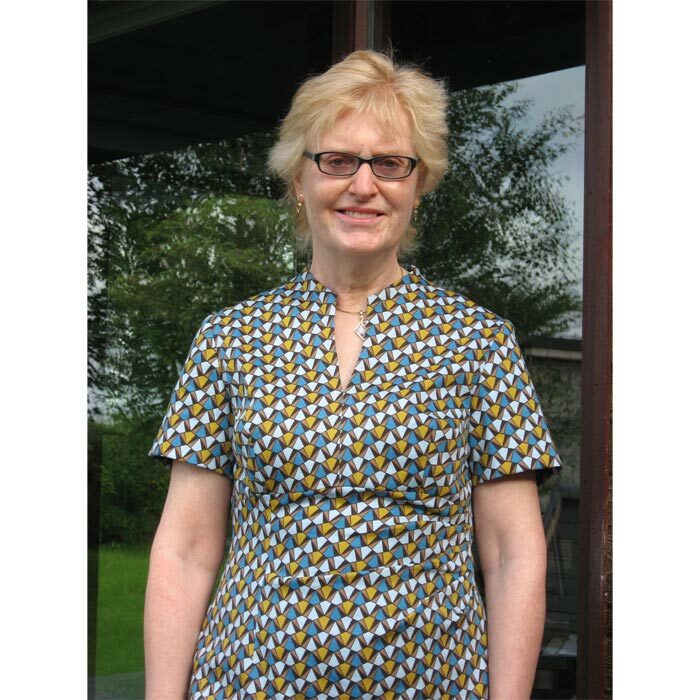 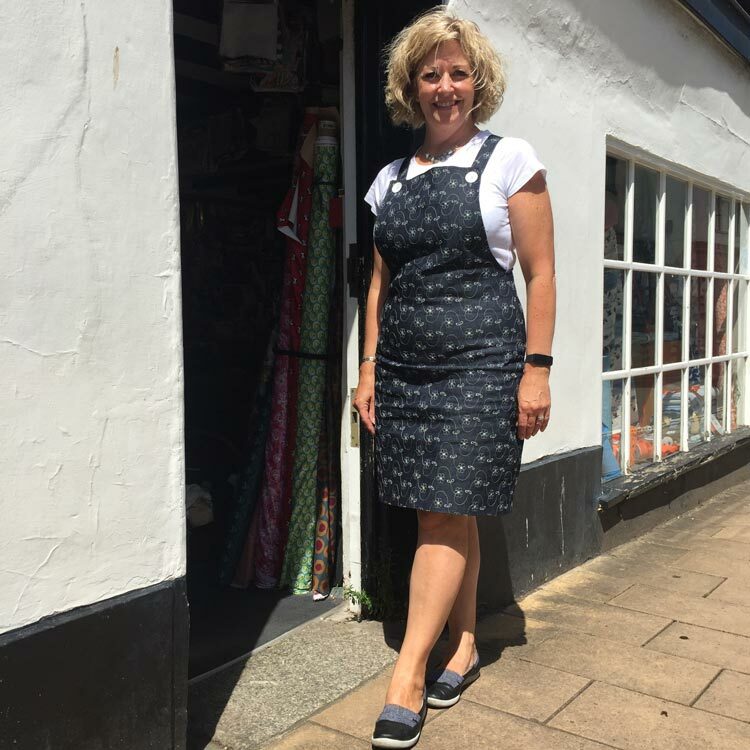 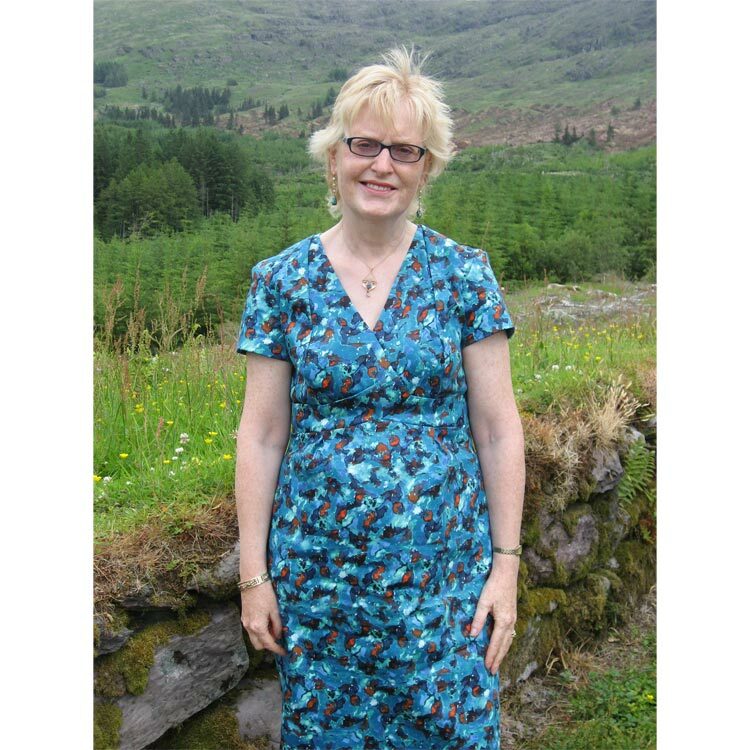 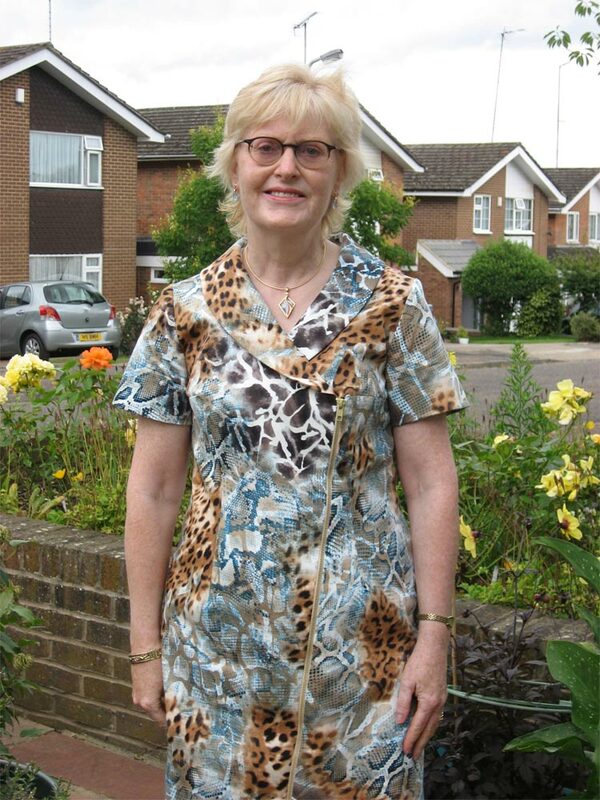 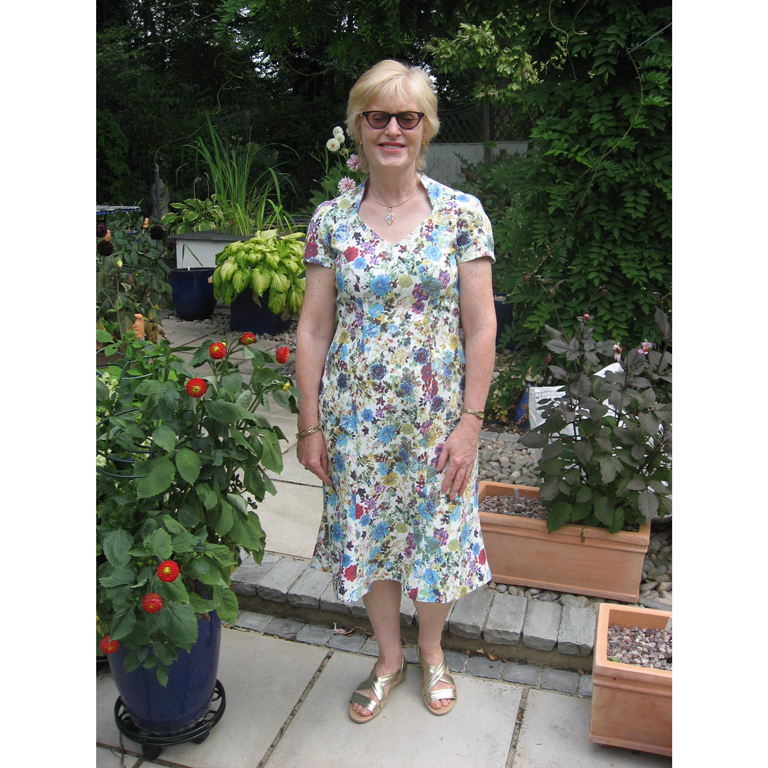 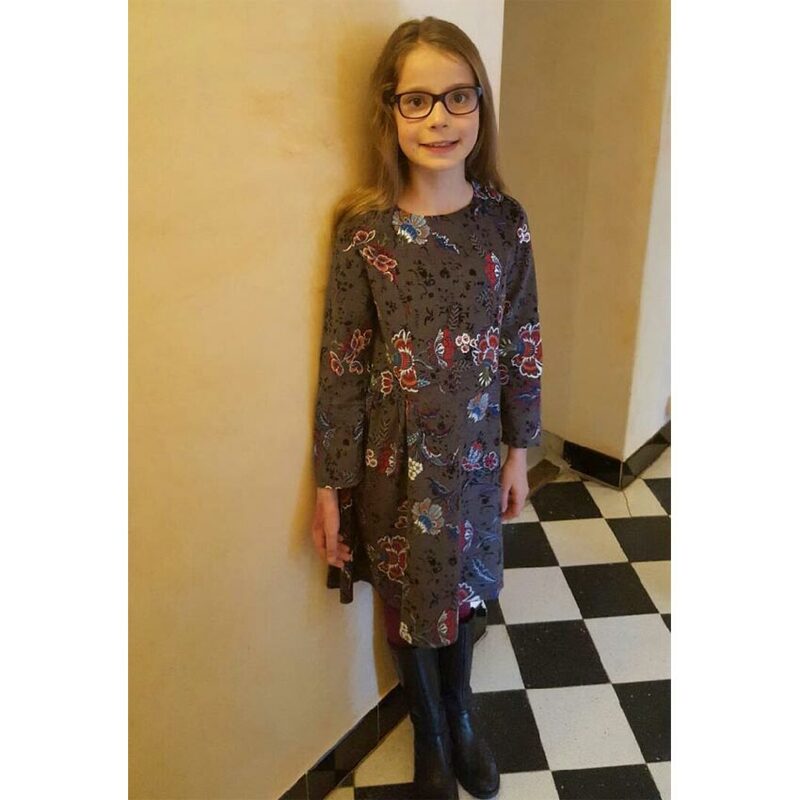 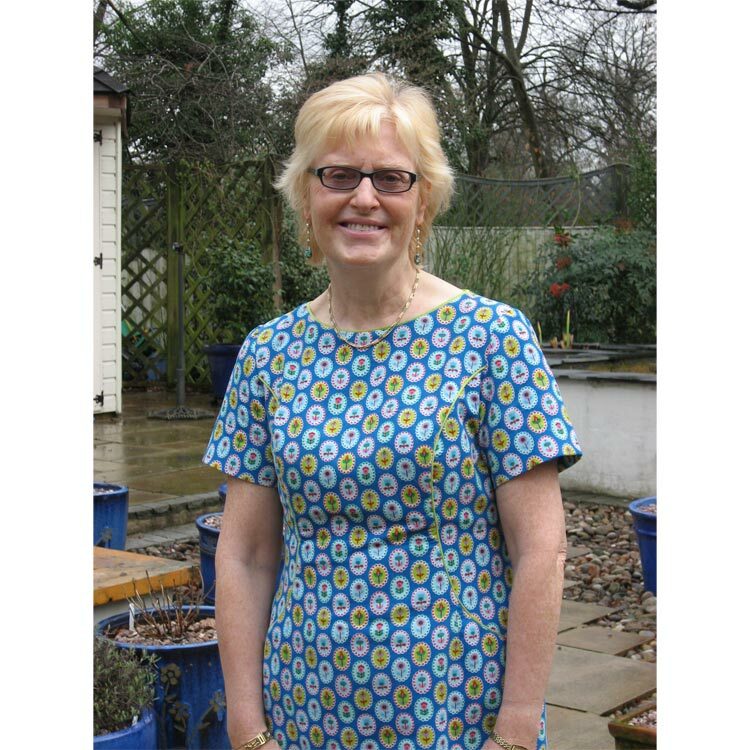 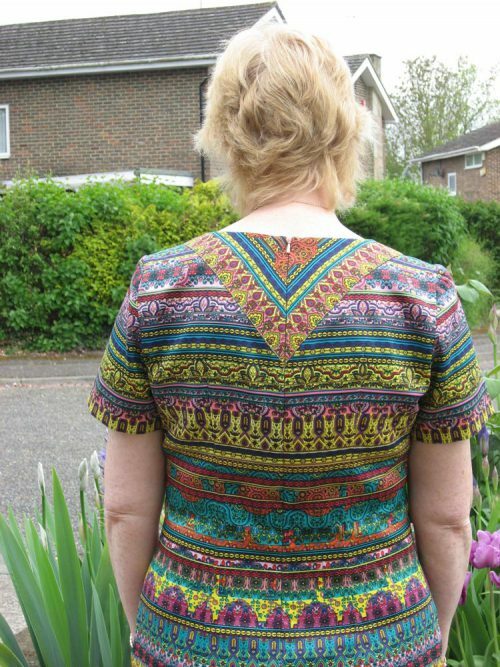 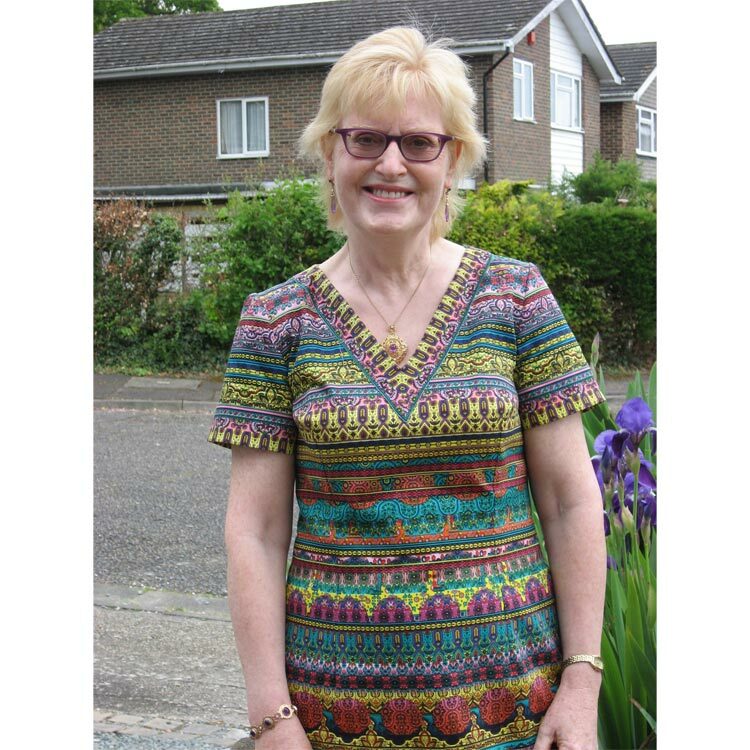 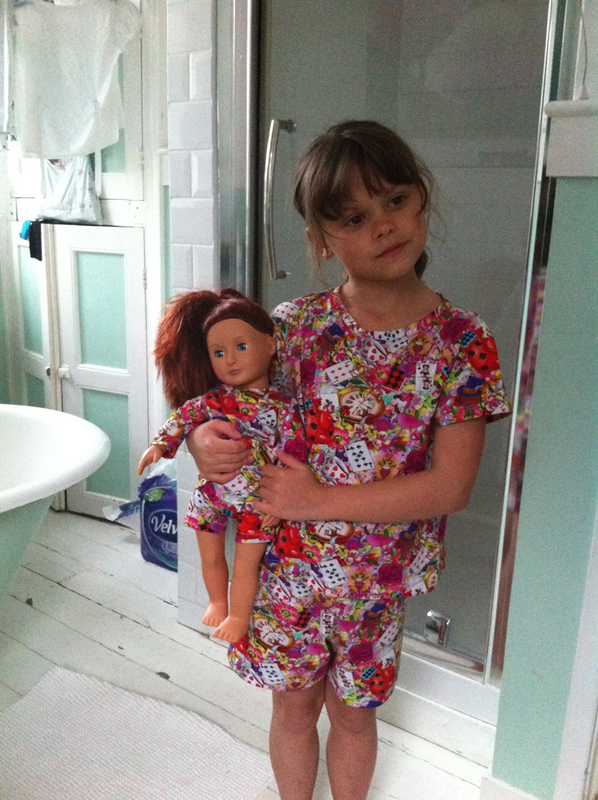 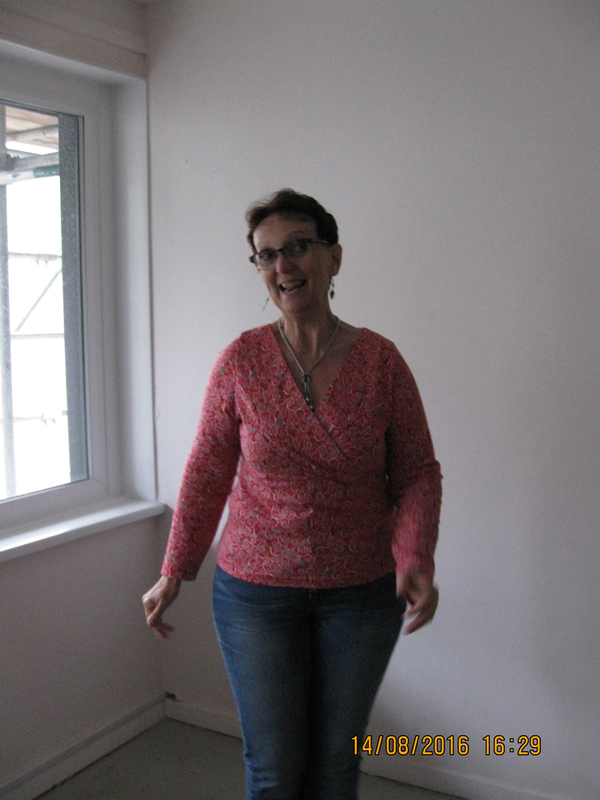 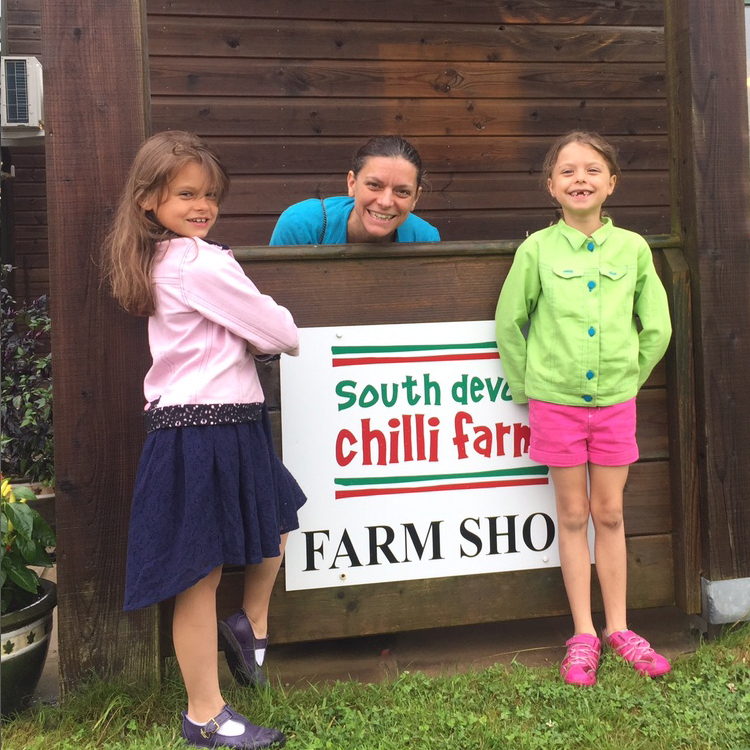 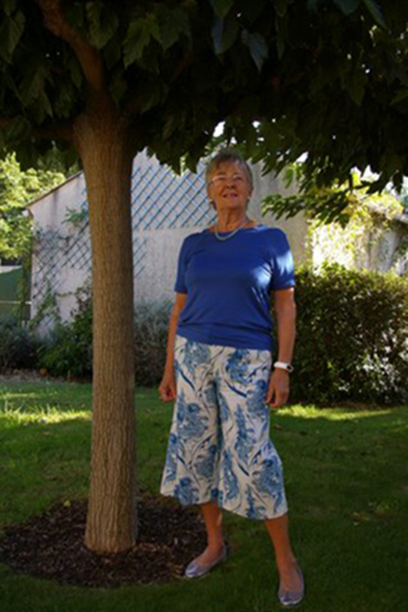 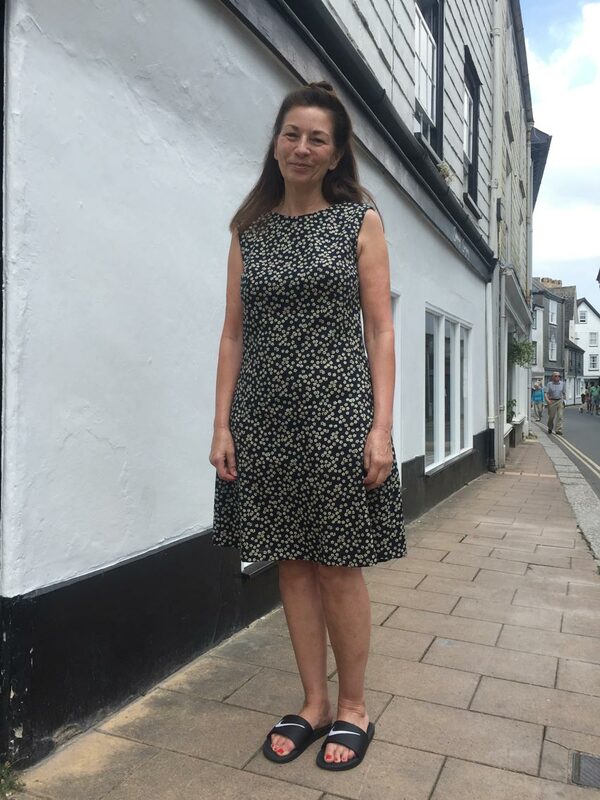 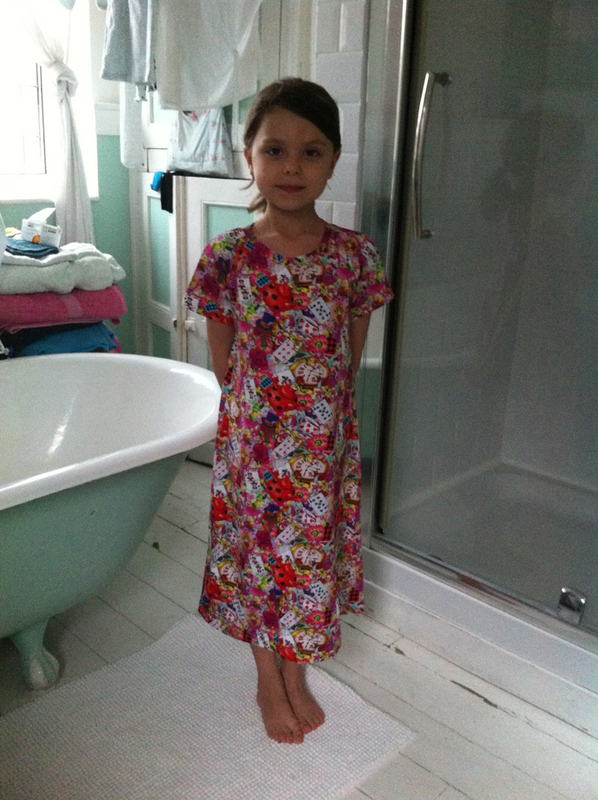 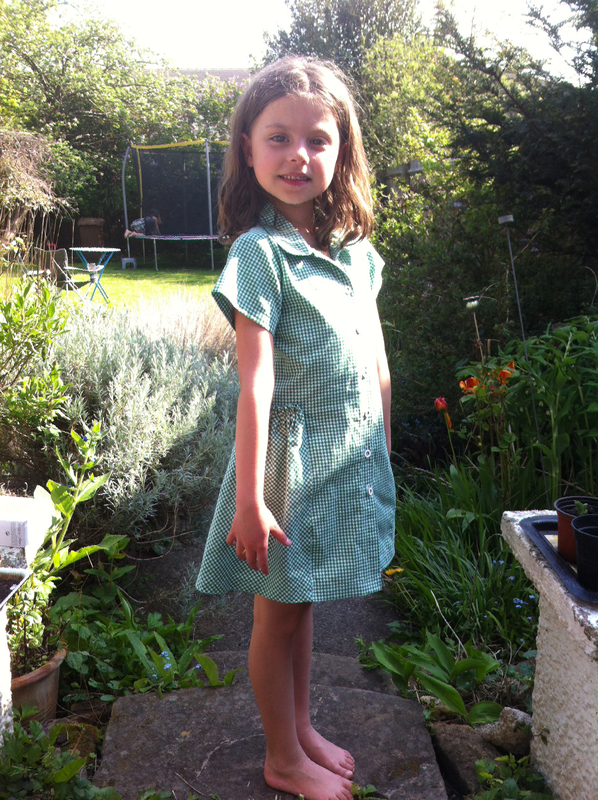 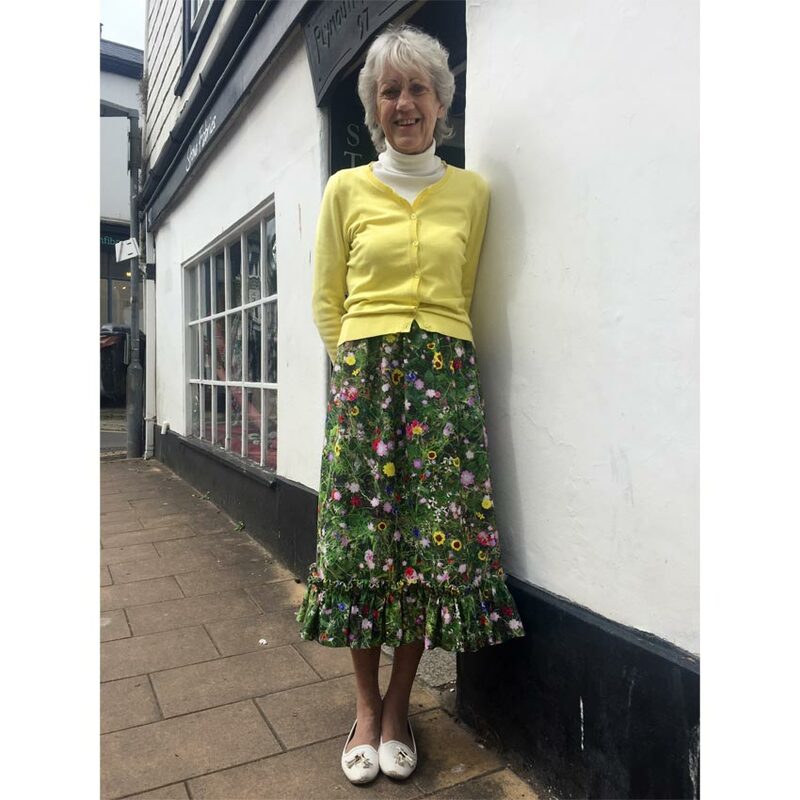 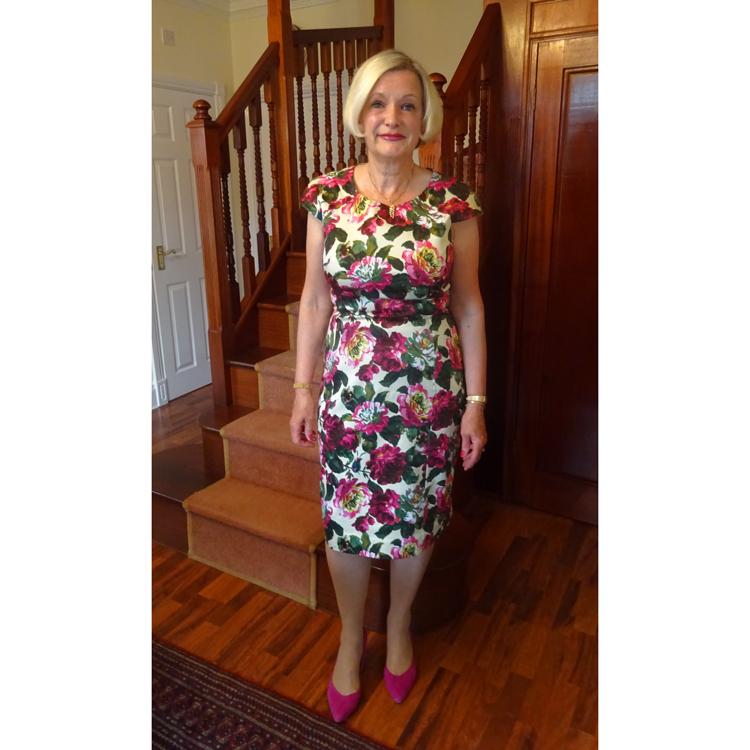 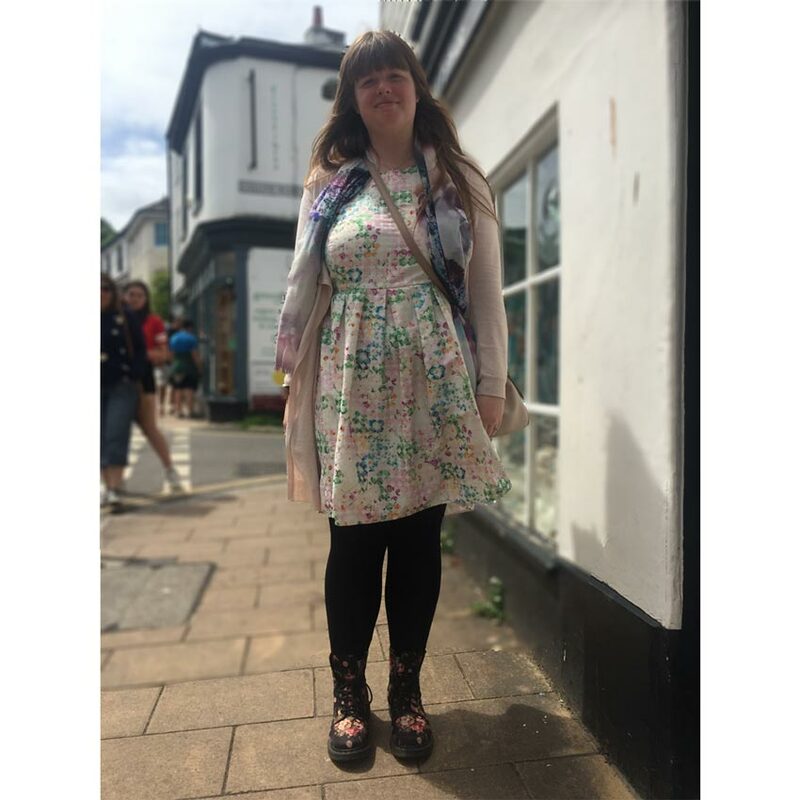 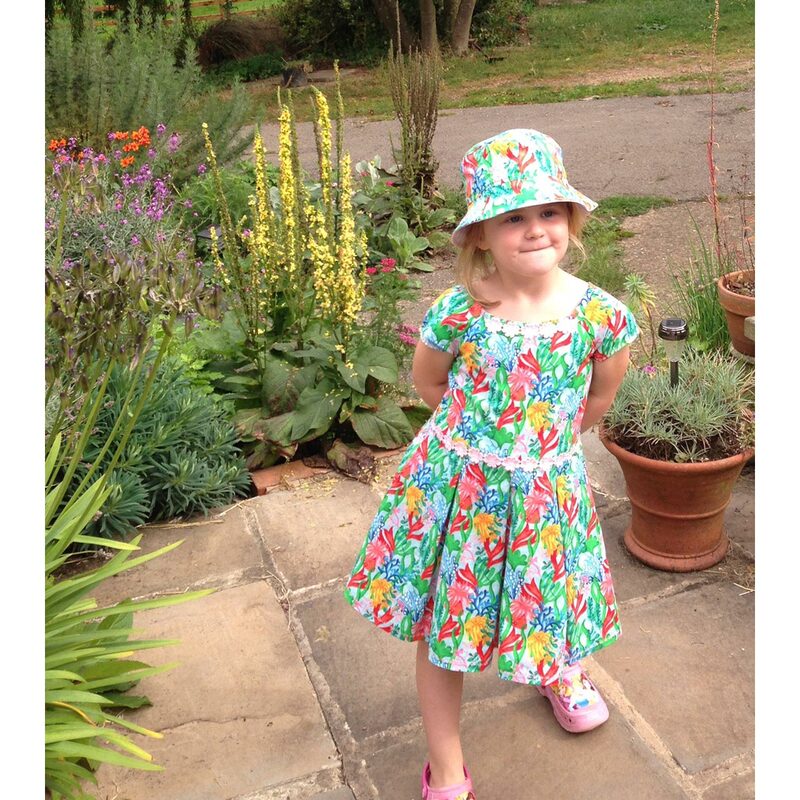 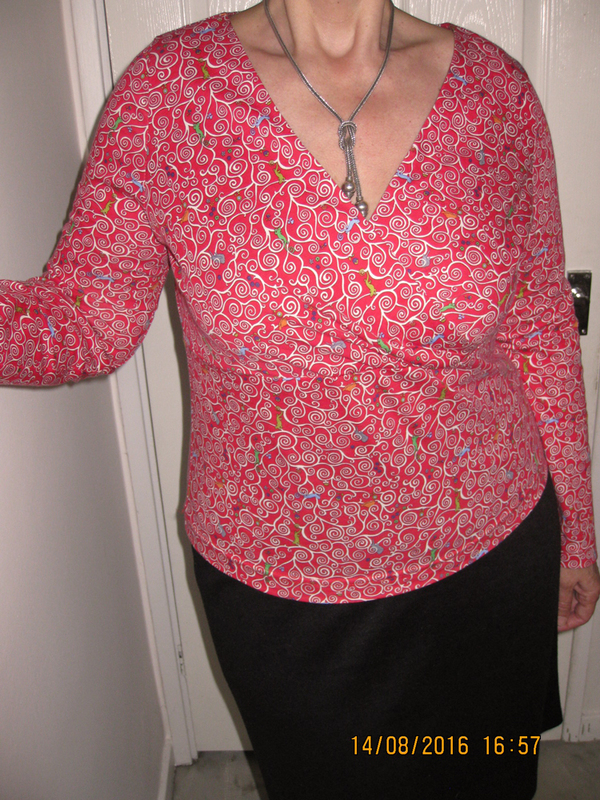 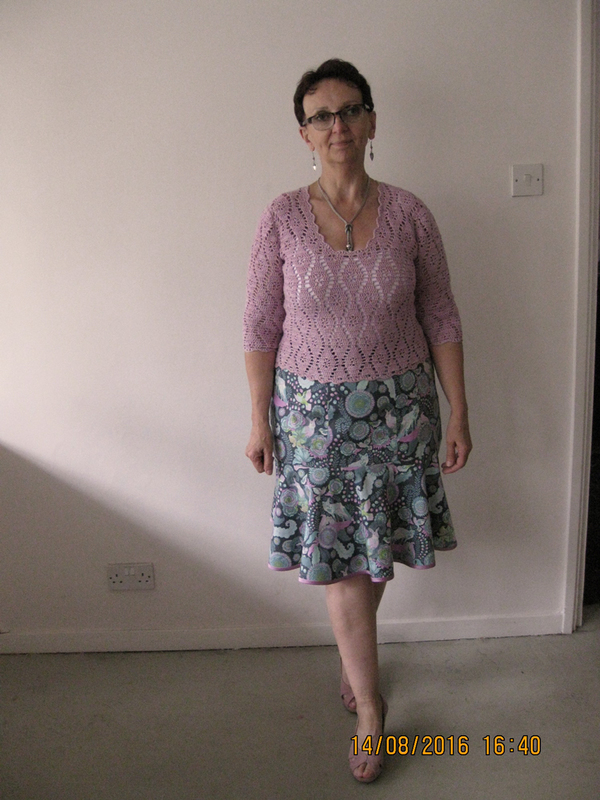 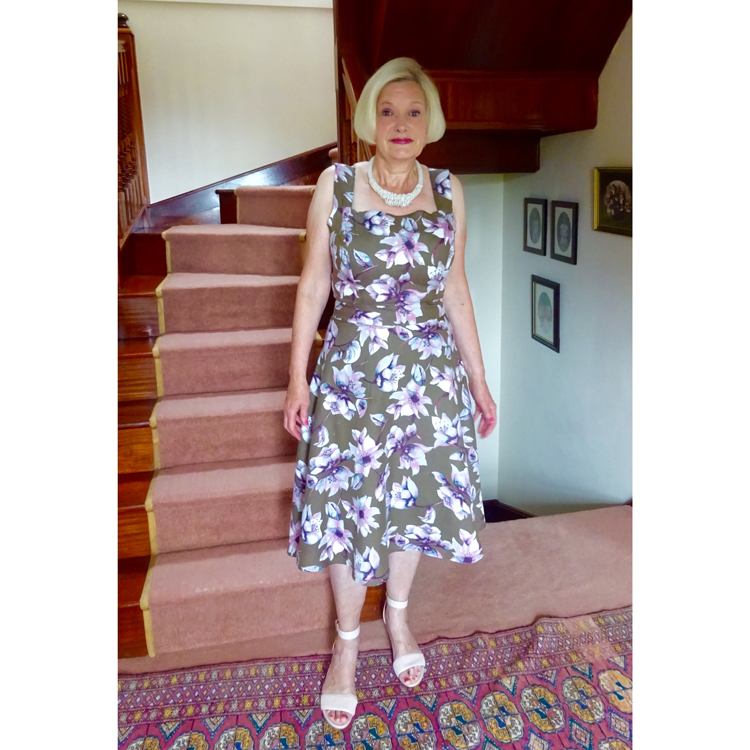 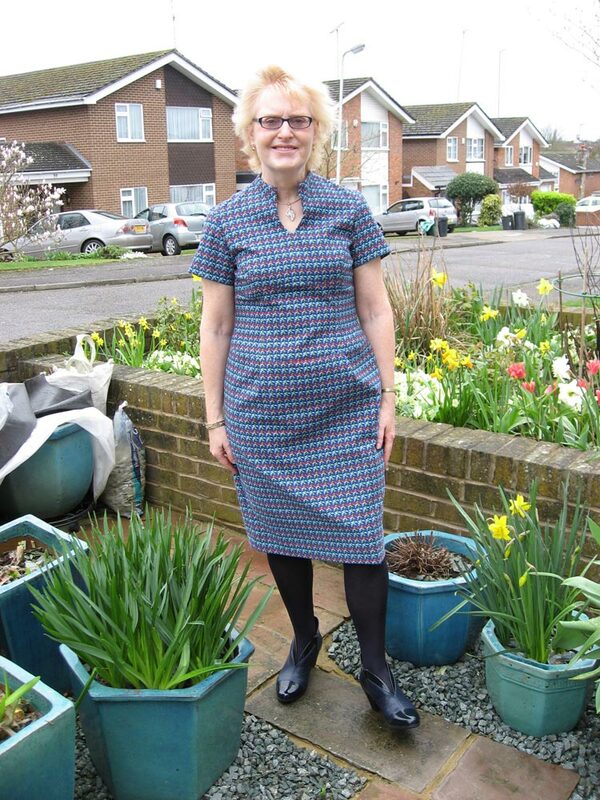 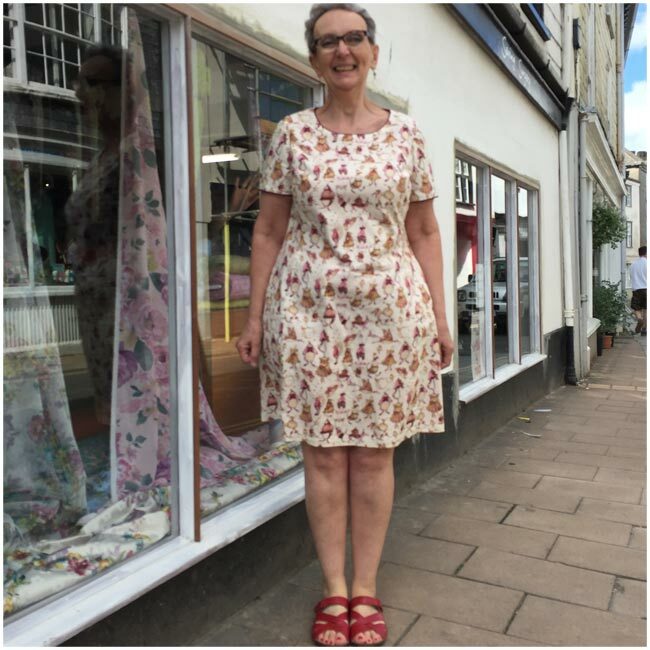 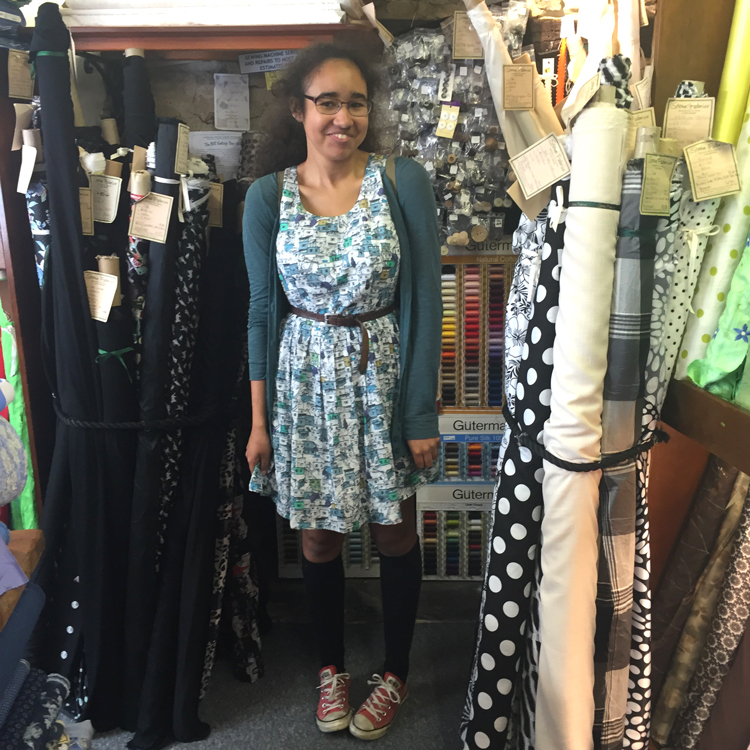 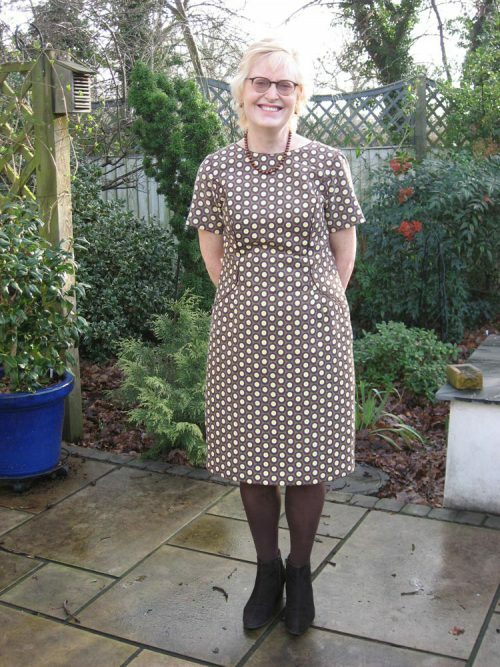 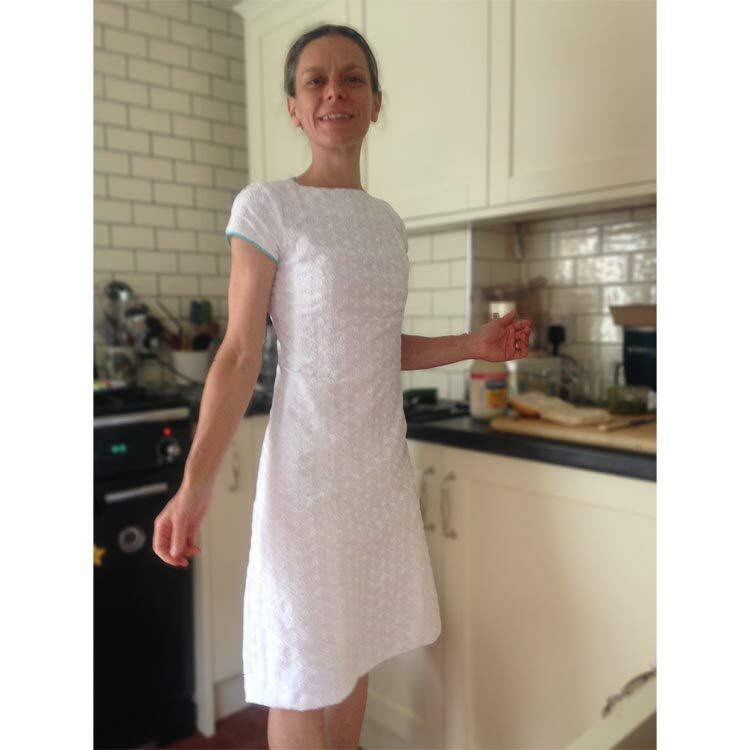 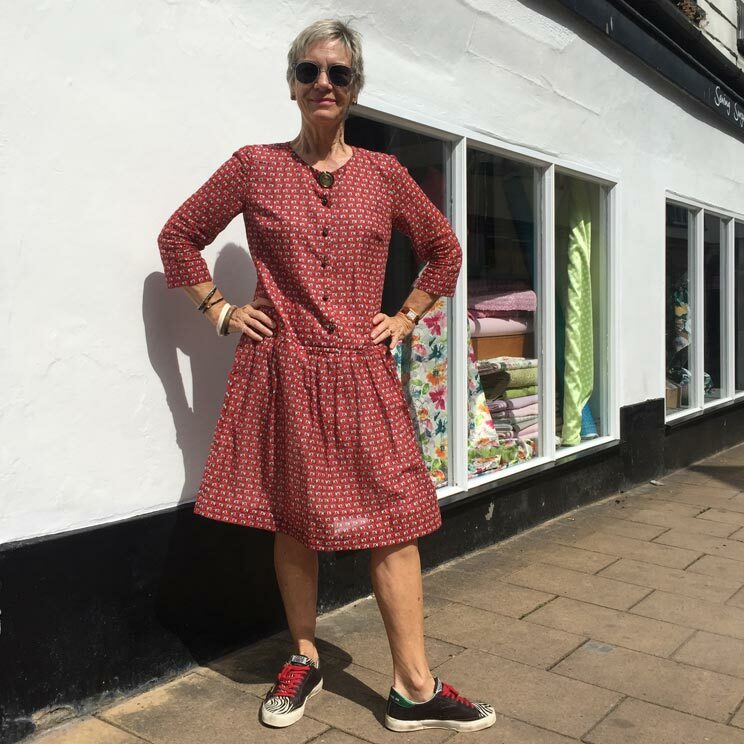 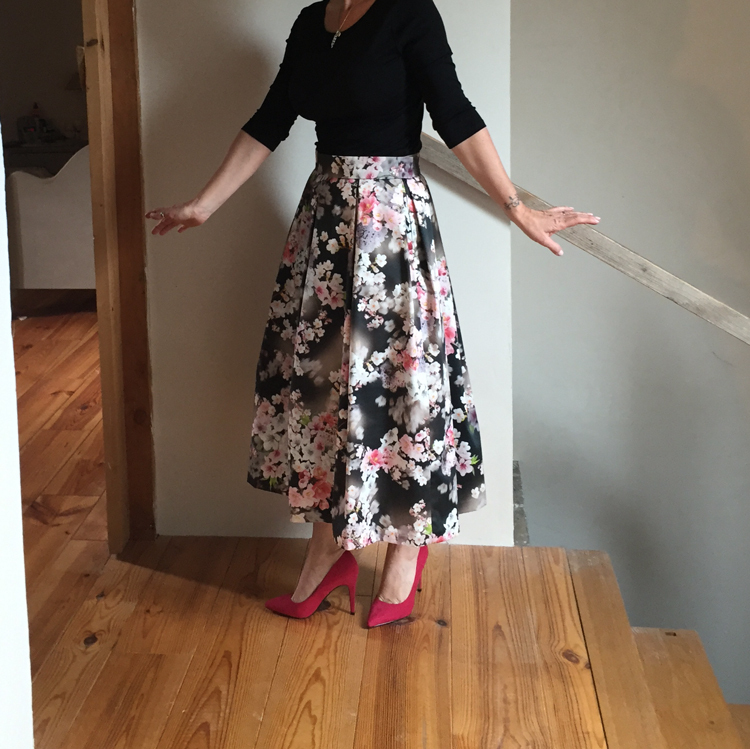 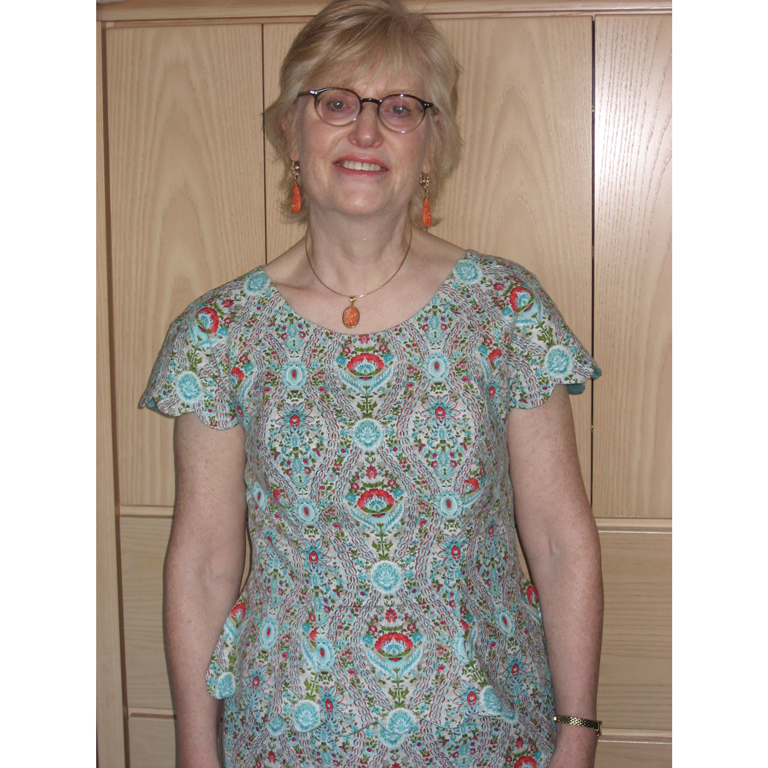 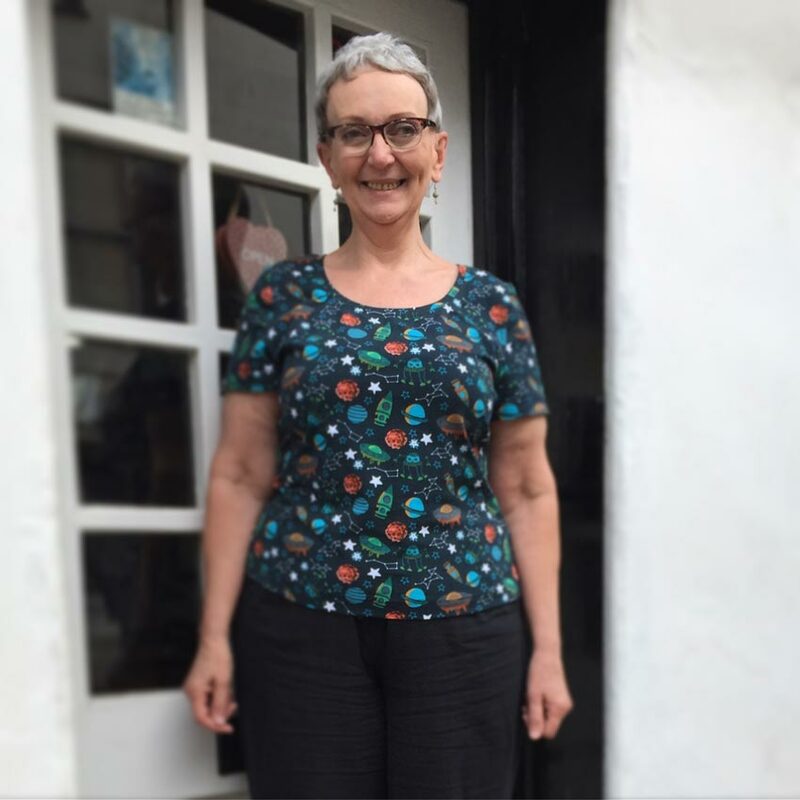 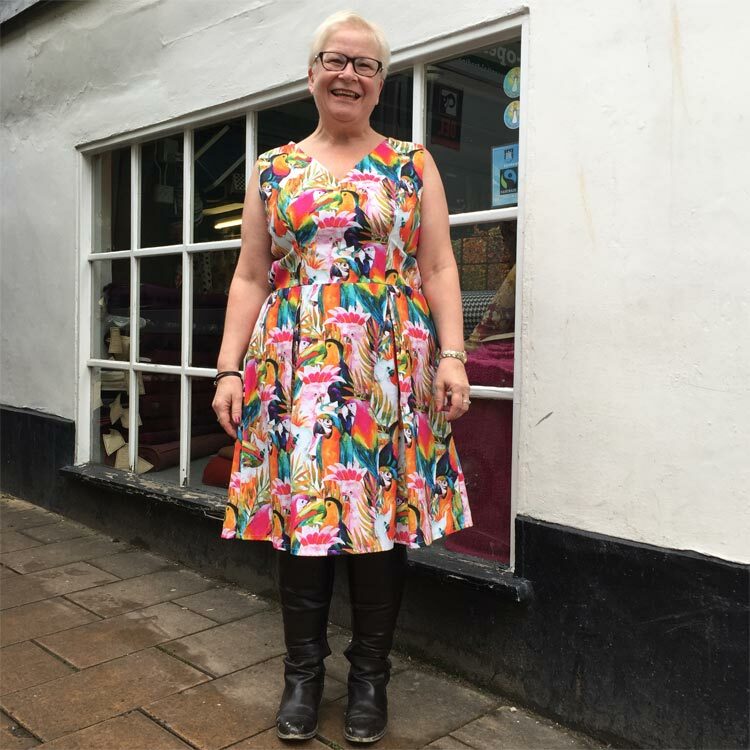 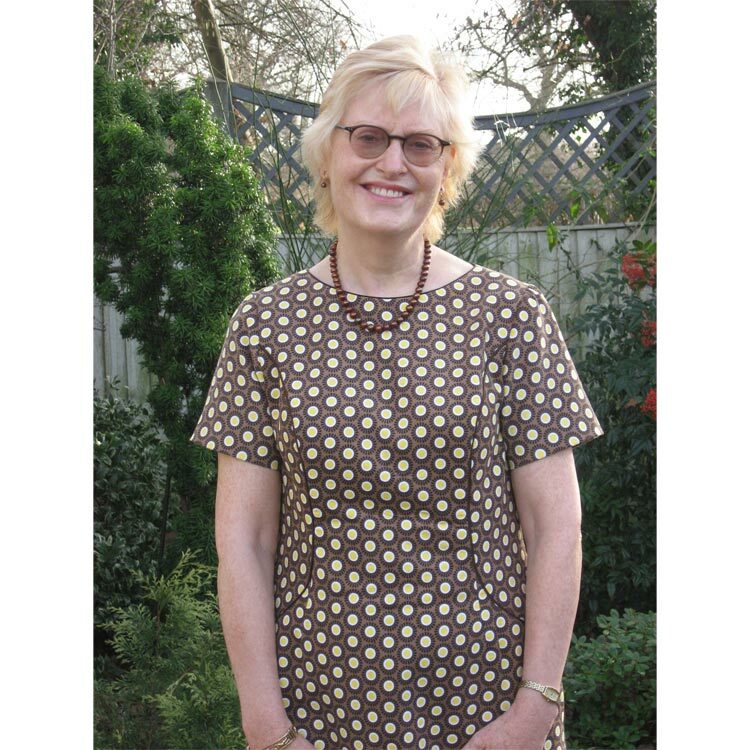 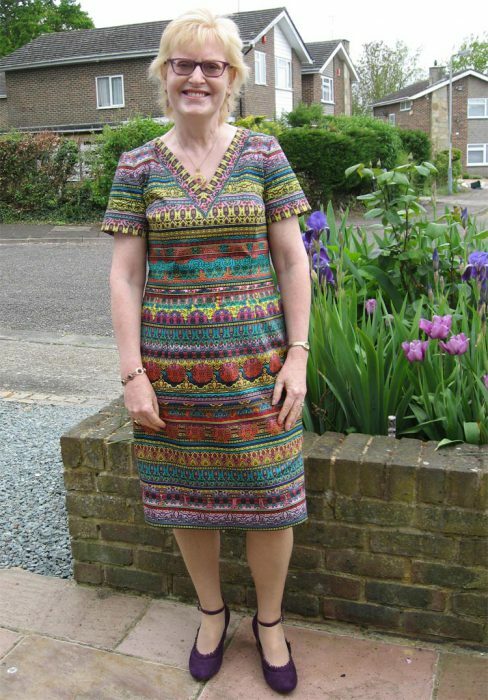 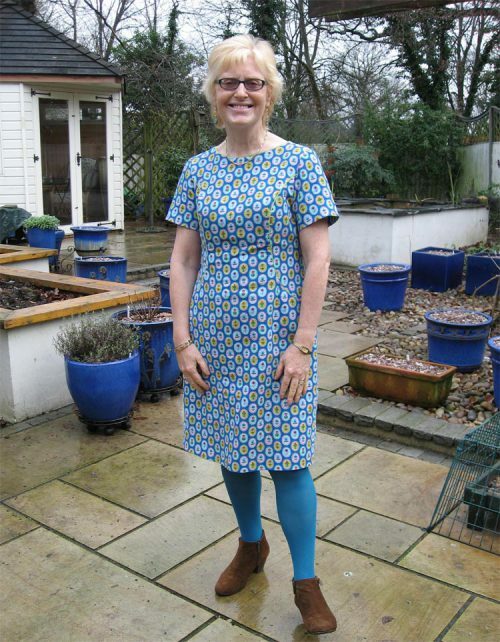 Celia showing off her floral print linen and cotton flared dress made using New Look pattern 6390 (lengthened a bit). 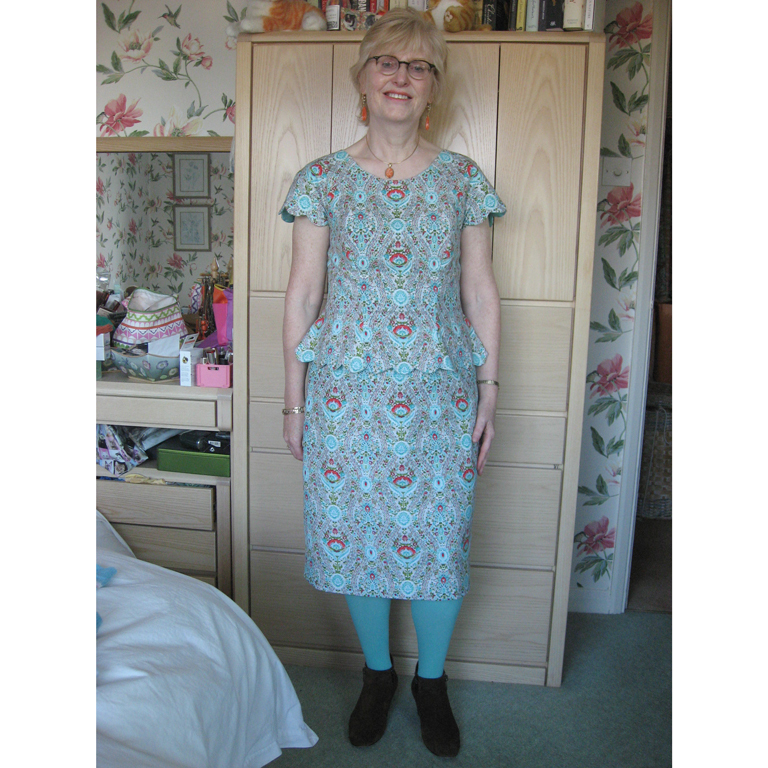 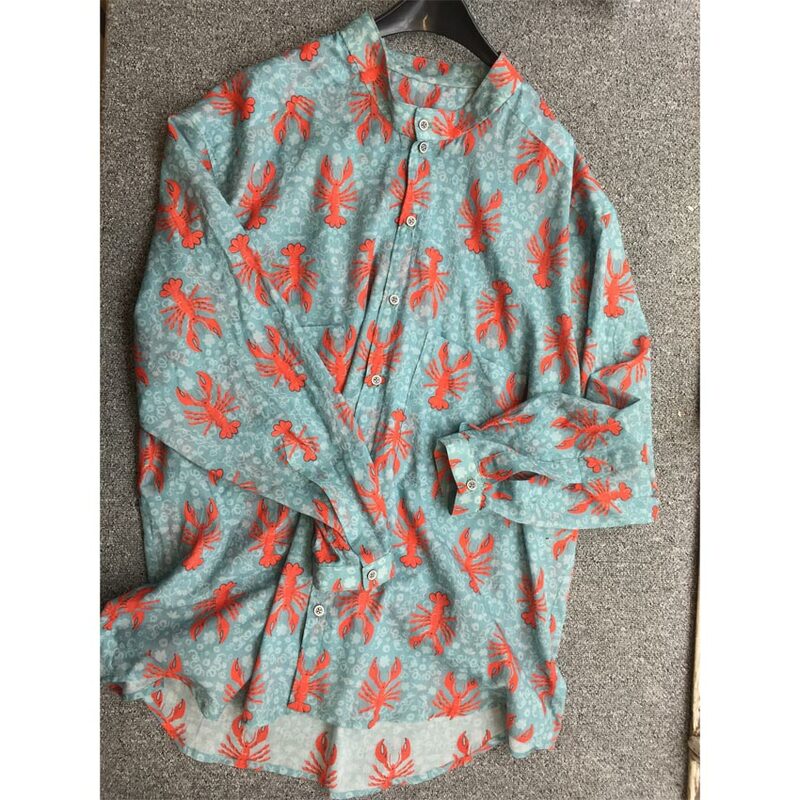 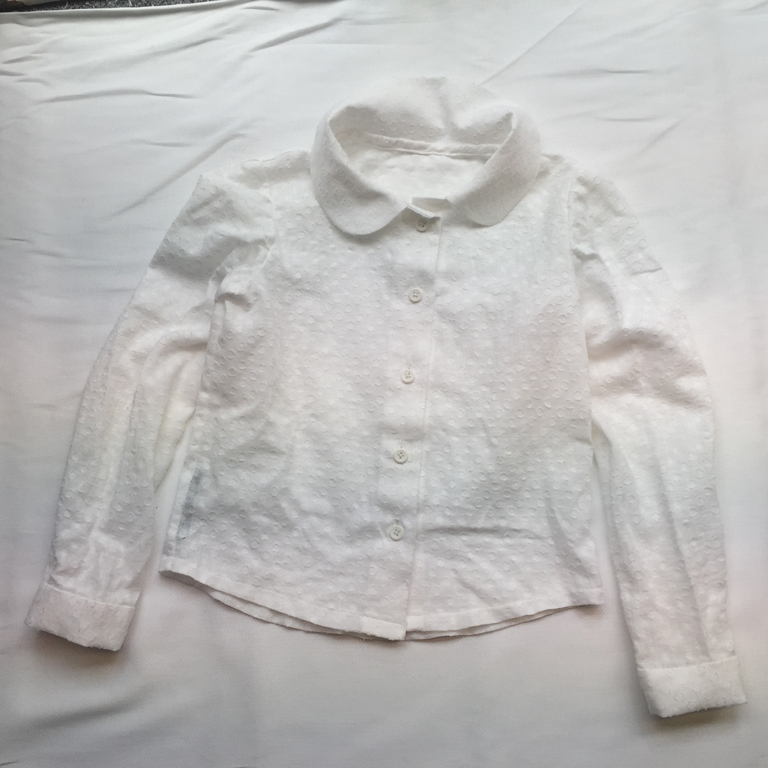 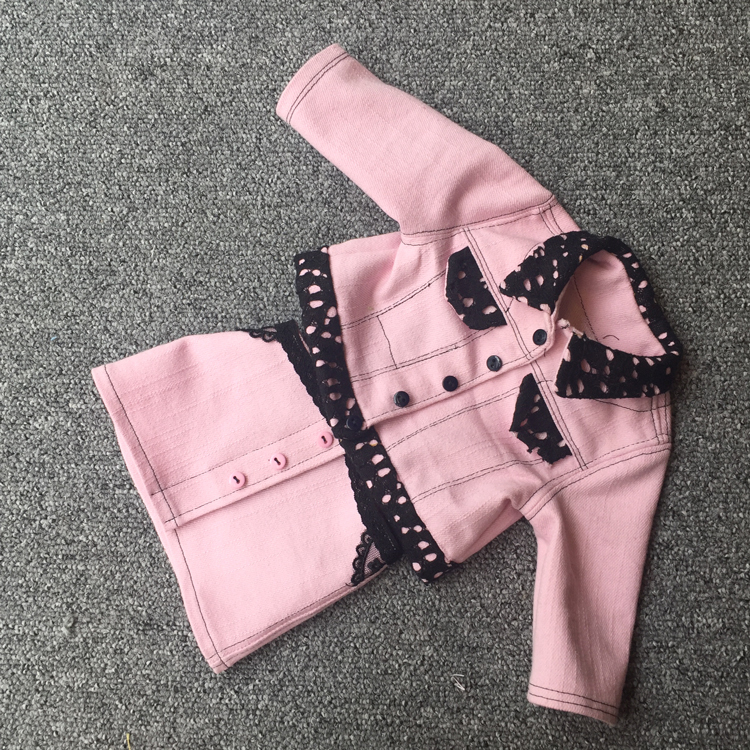 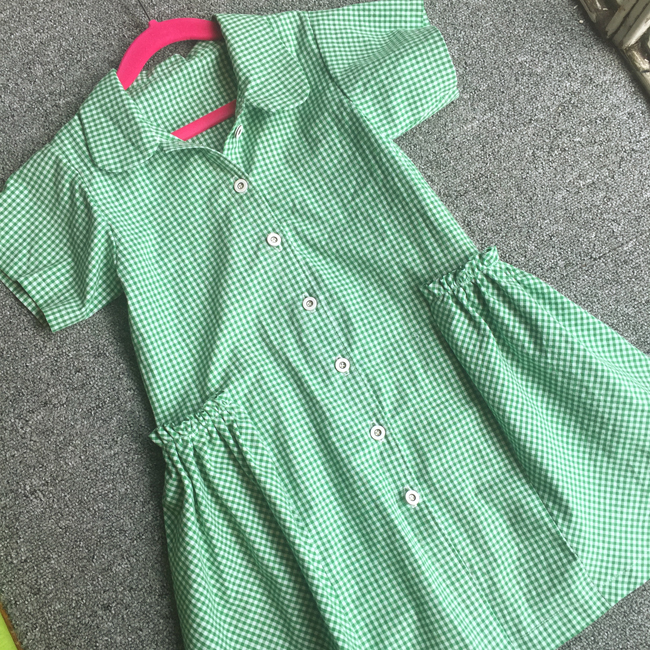 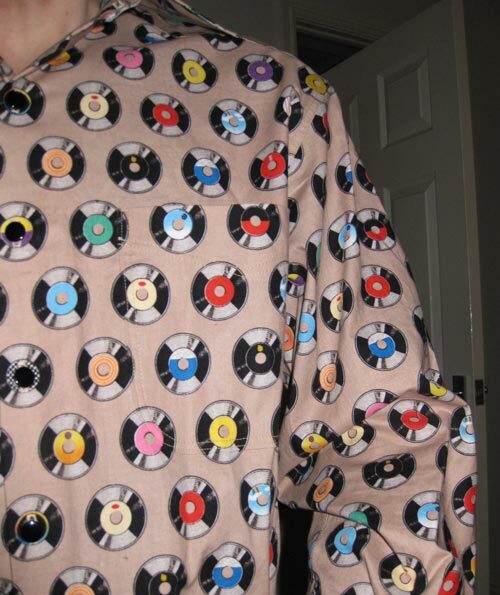 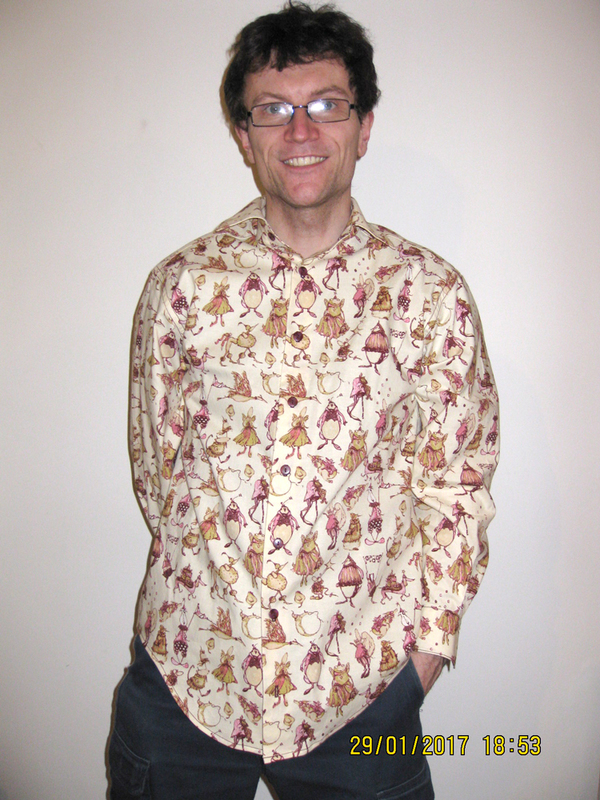 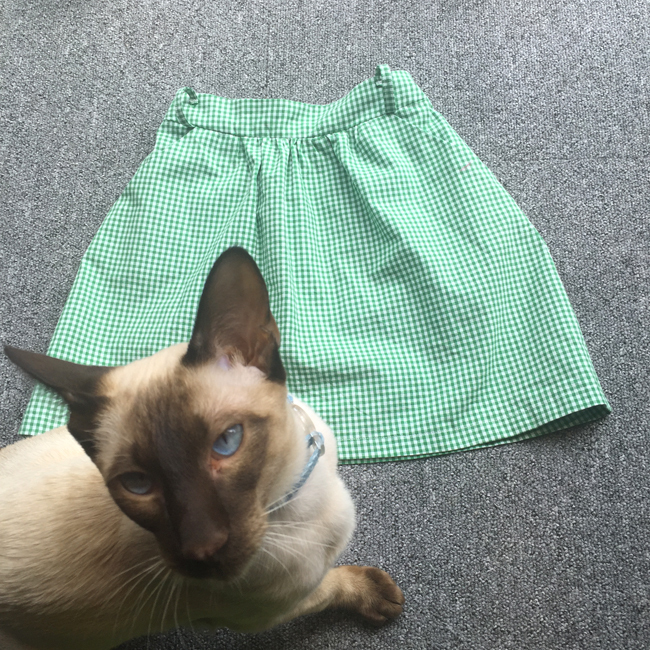 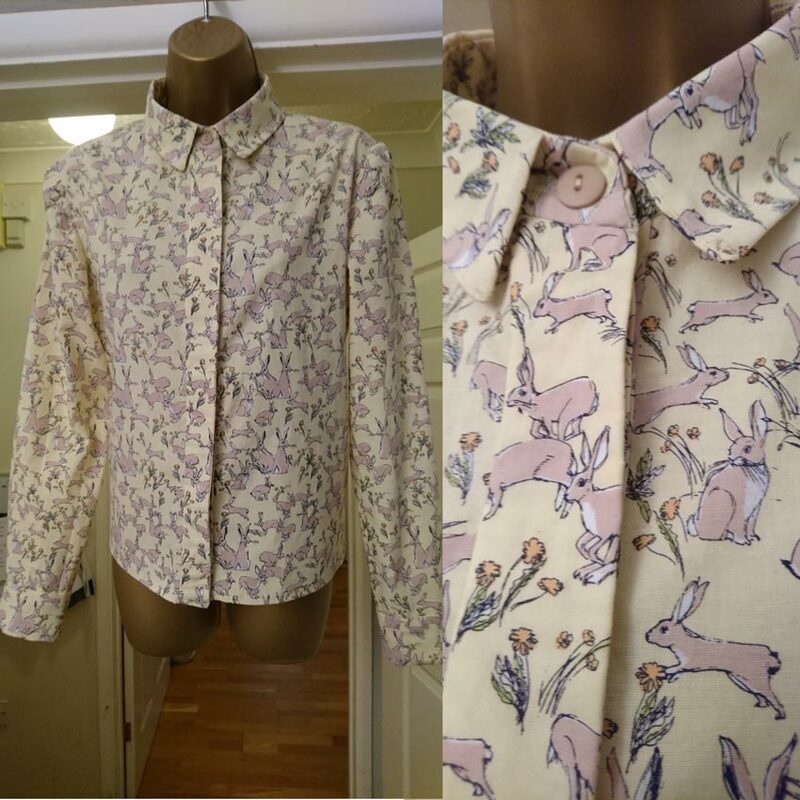 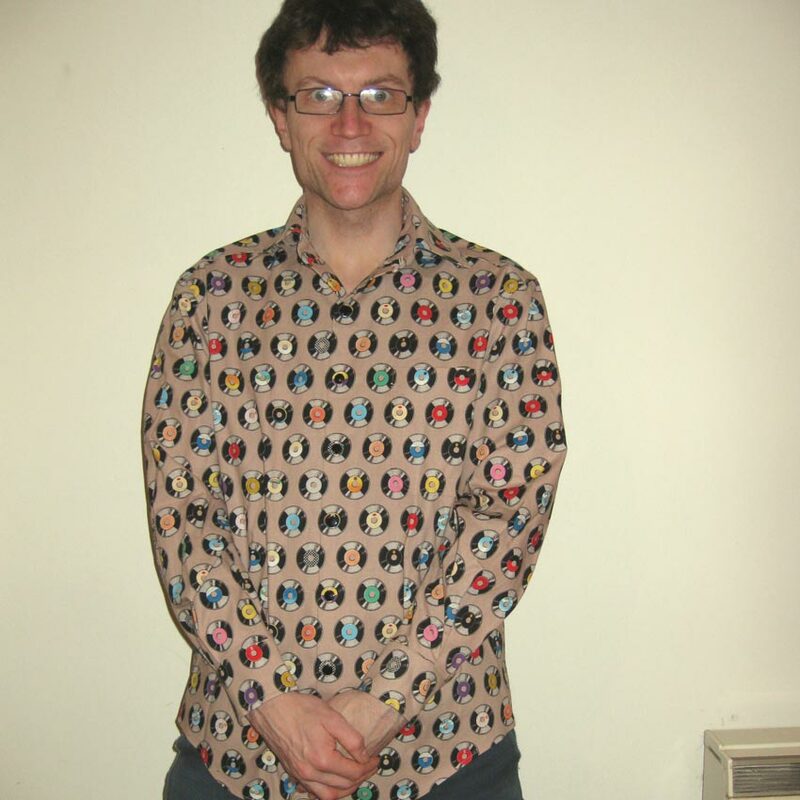 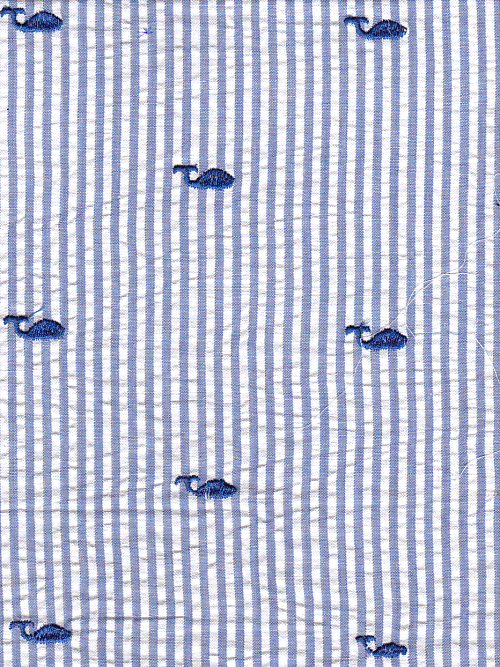 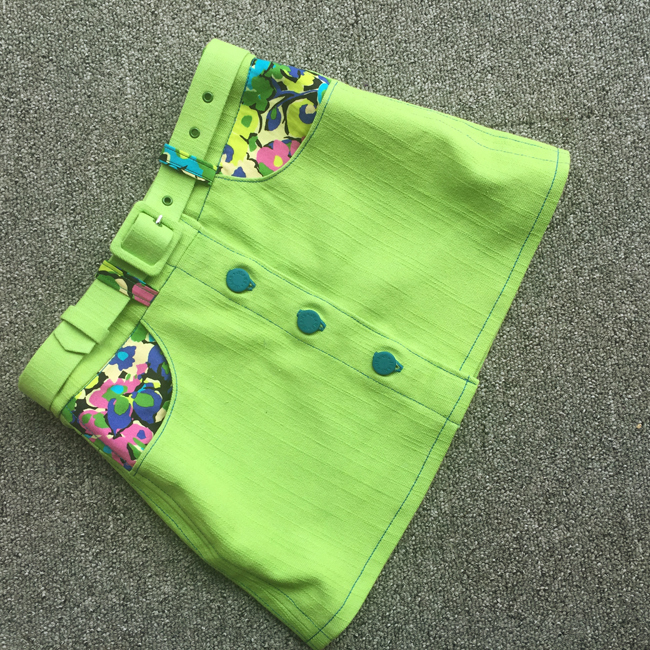 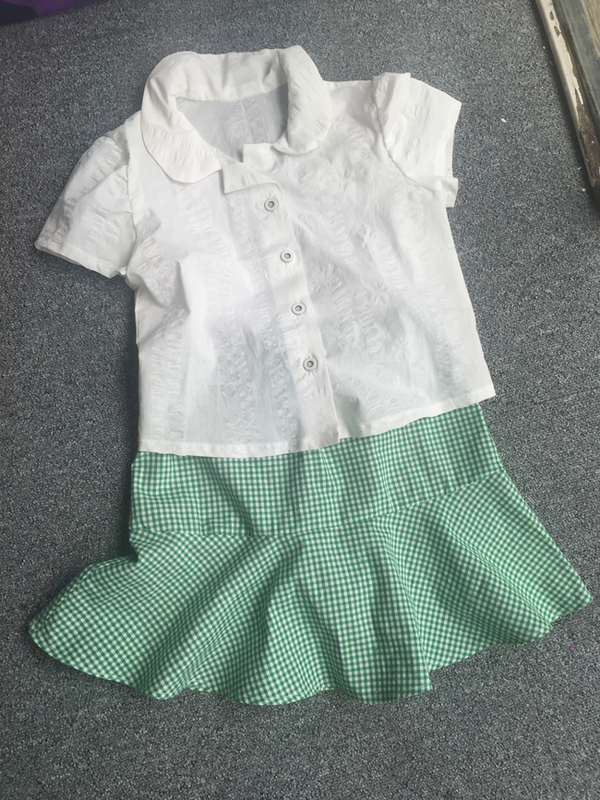 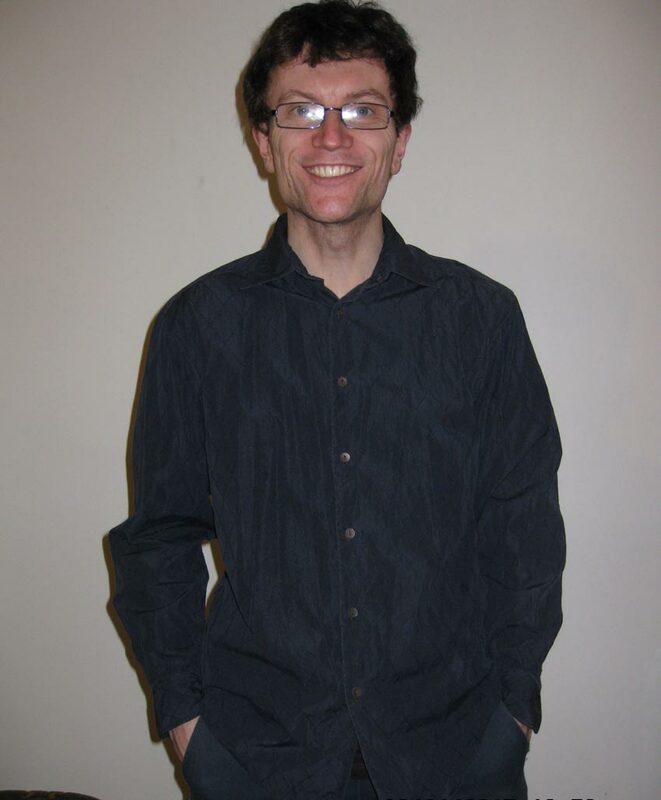 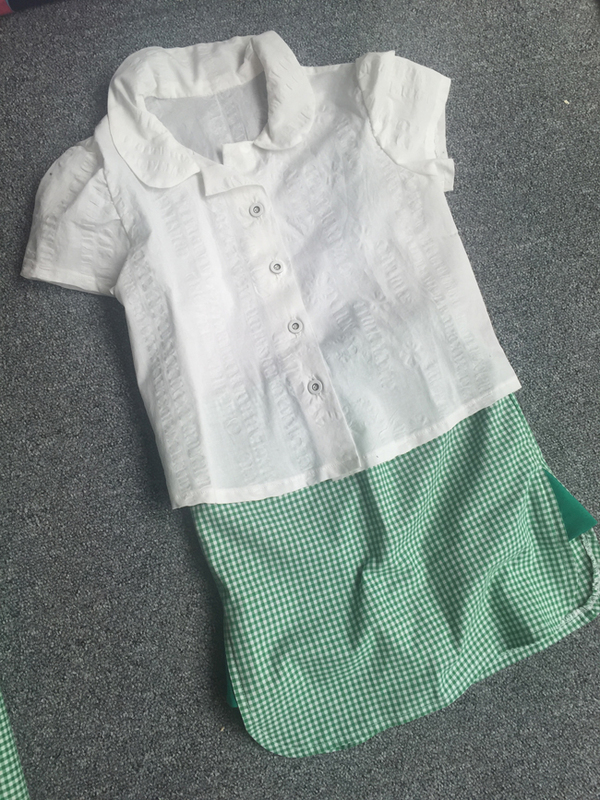 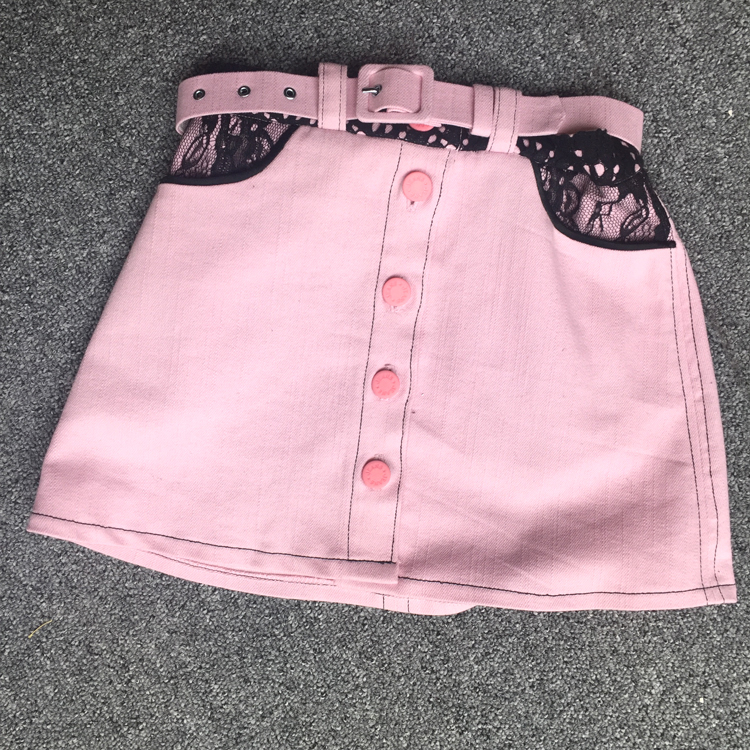 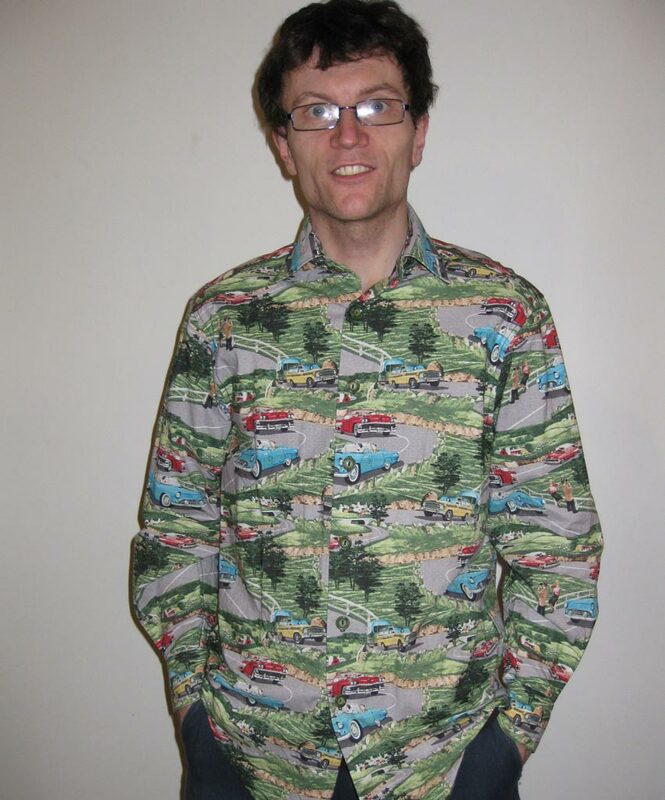 It is fully lined in cotton lawn and has an invisible zip in the back.